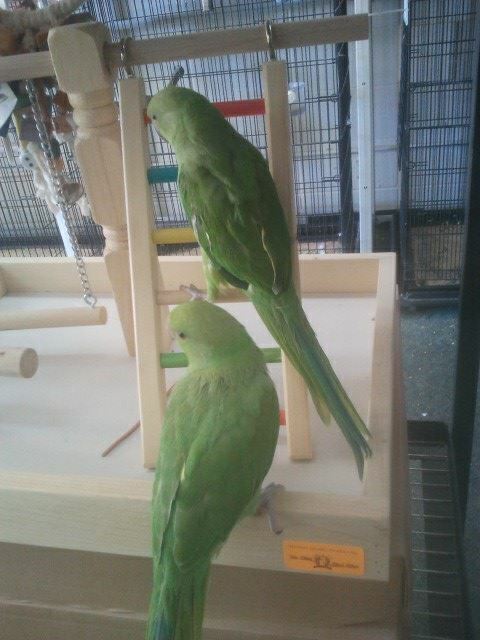 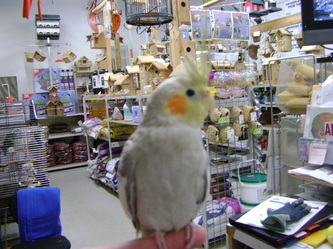 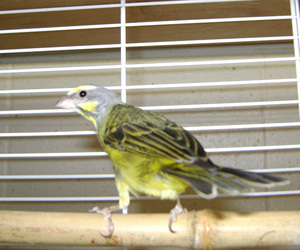 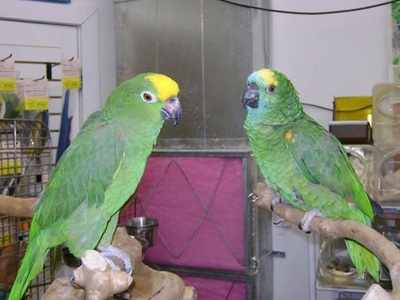 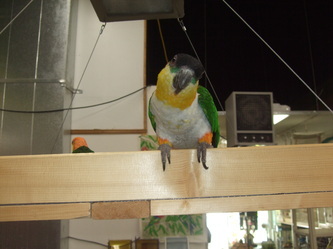 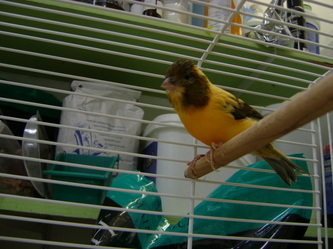 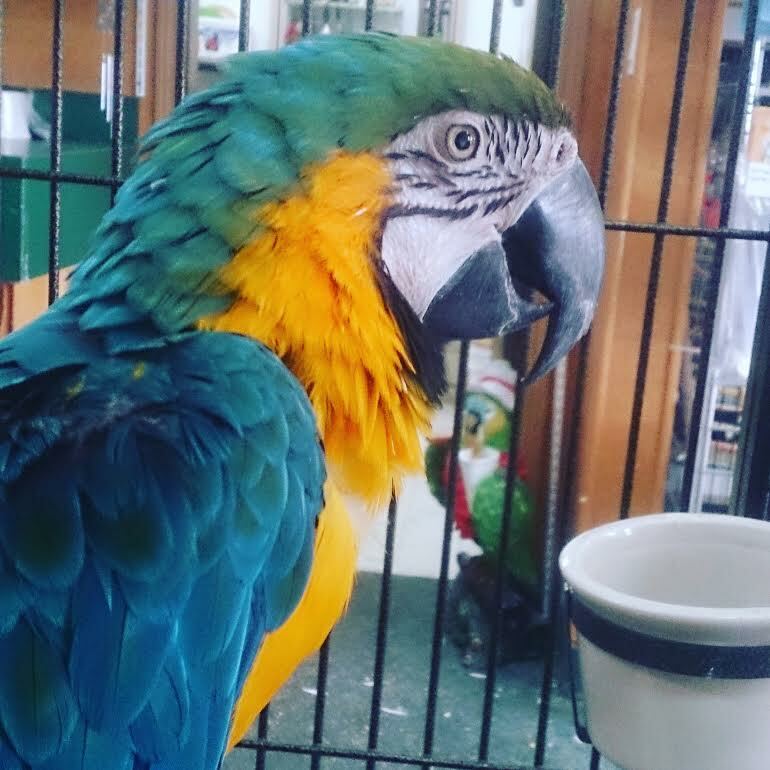 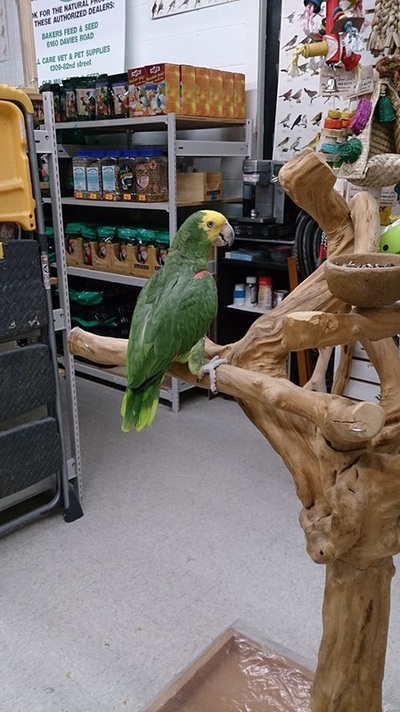 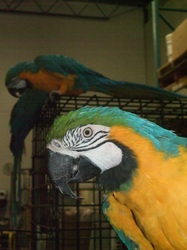 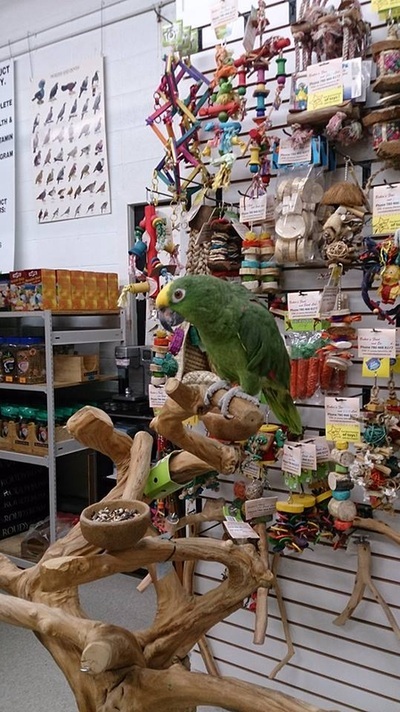 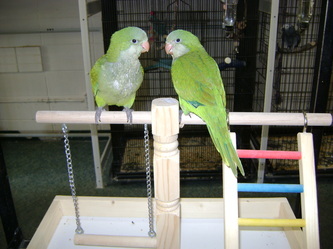 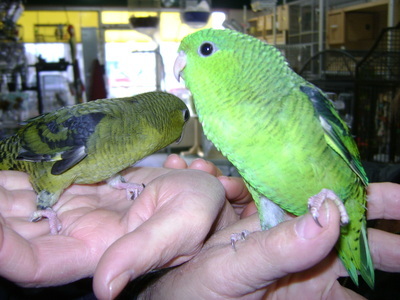 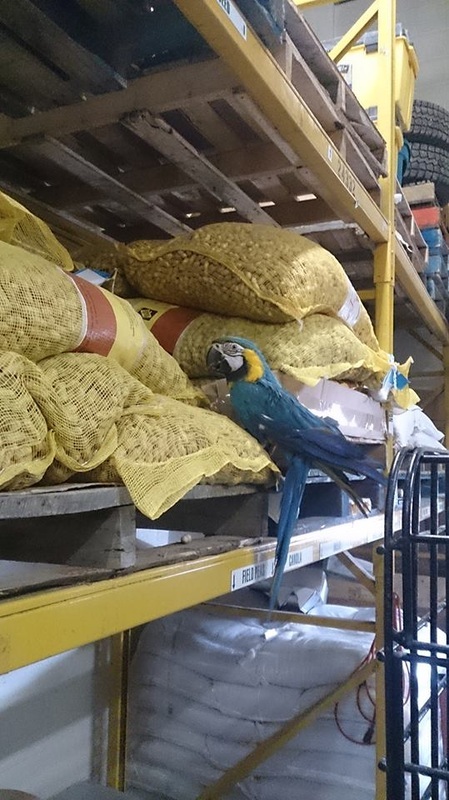 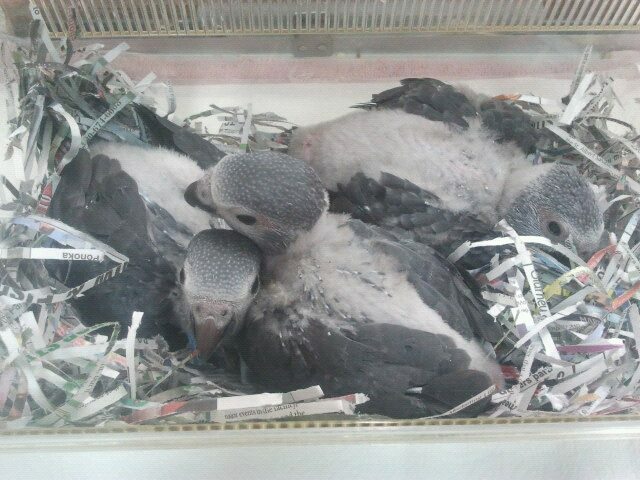 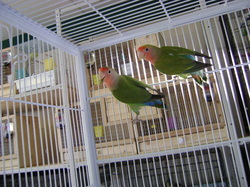 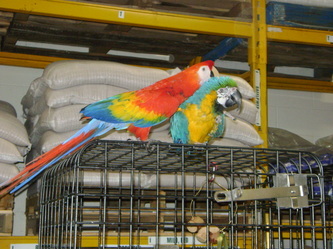 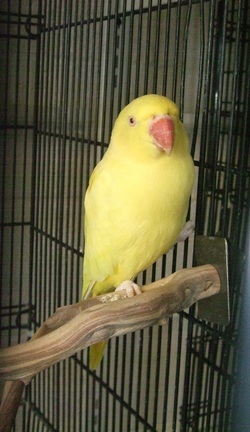 LIVE Birds - Baker's Bird Shop Ltd.
​We currently have 1 Double-Yellow Headed Amazon named Tommy. He is friendly and allows you to rub his head. 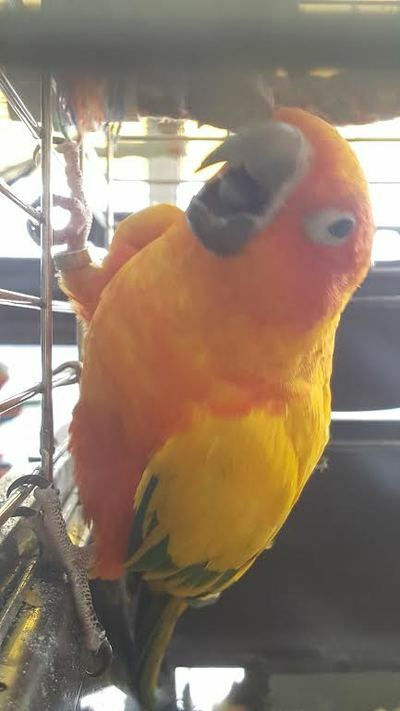 He does talk a bit. 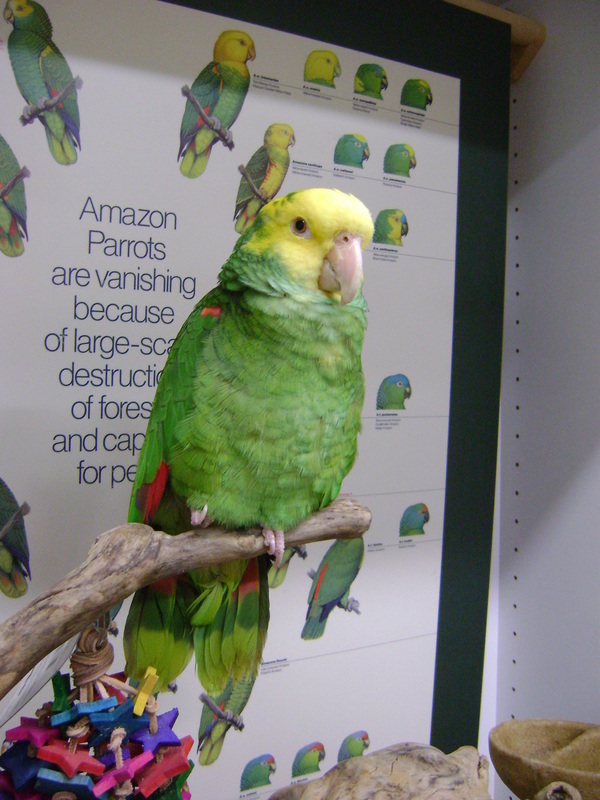 Amazons are not a bird for beginners so please only serious inquiries only about Tommy. 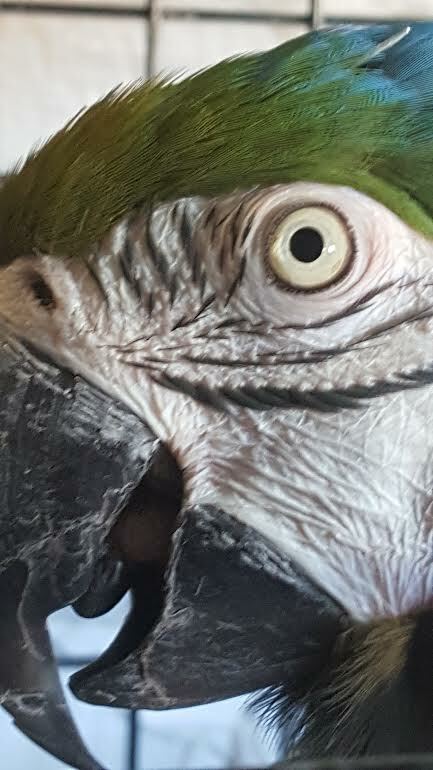 TOMMY DOES NOT LIKE MEN. 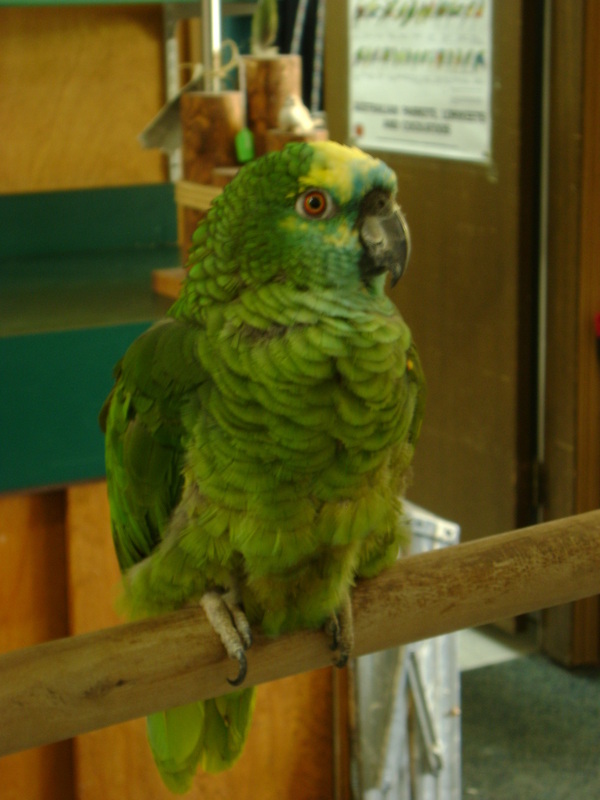 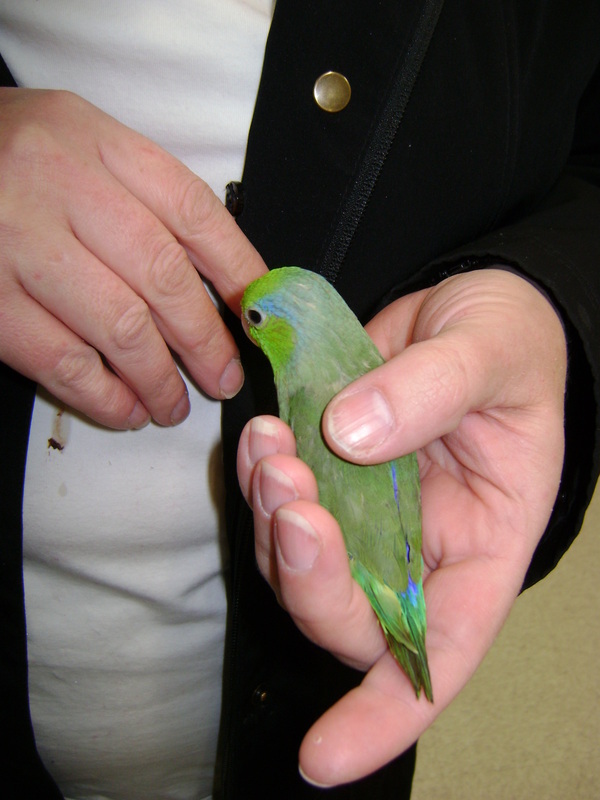 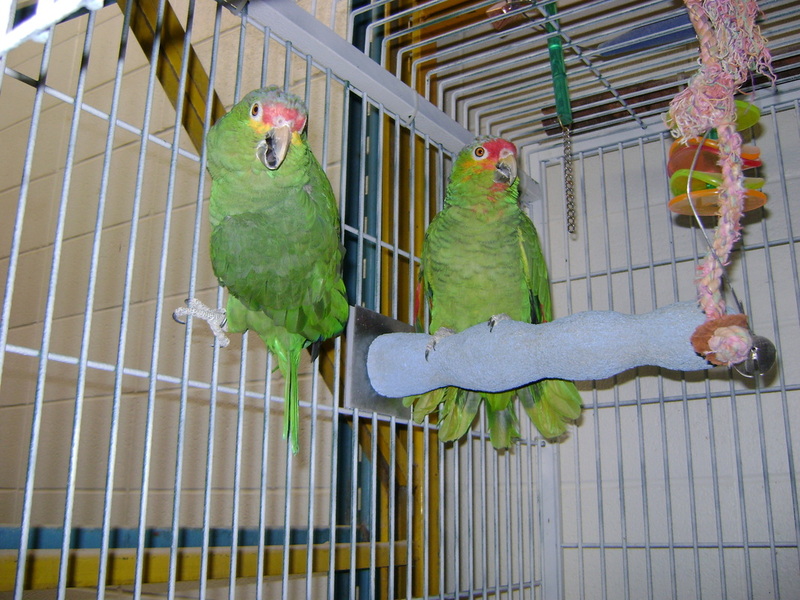 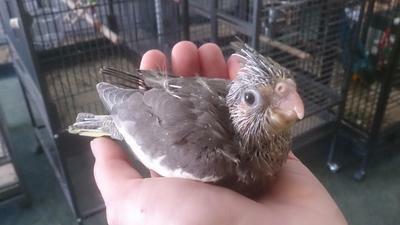 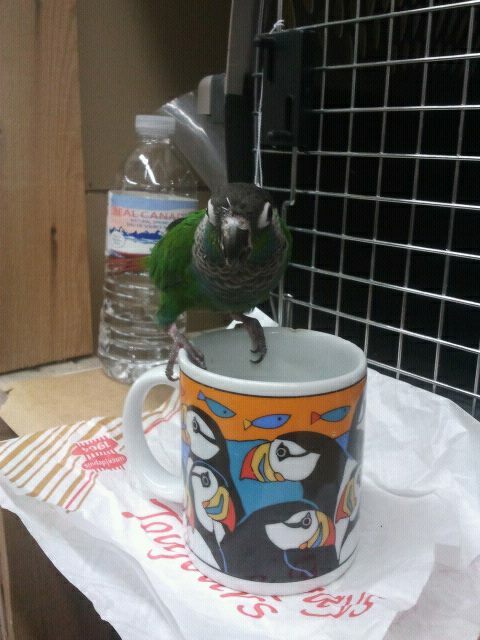 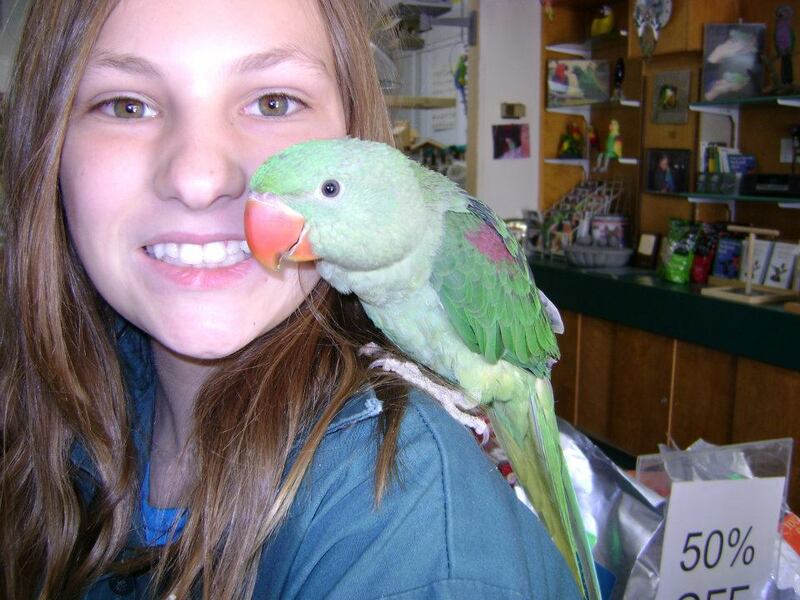 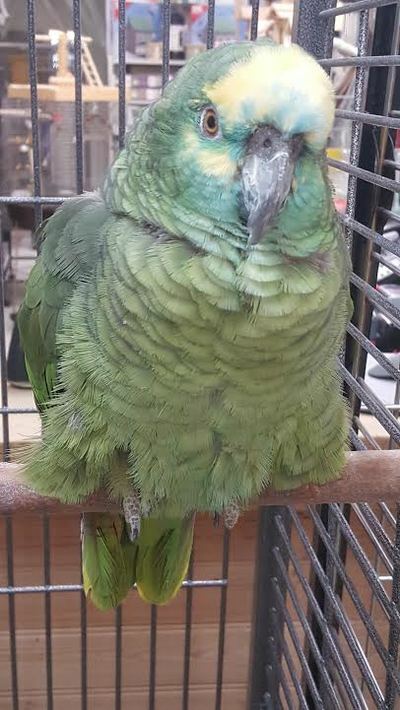 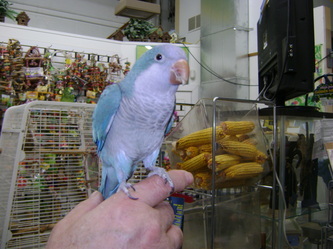 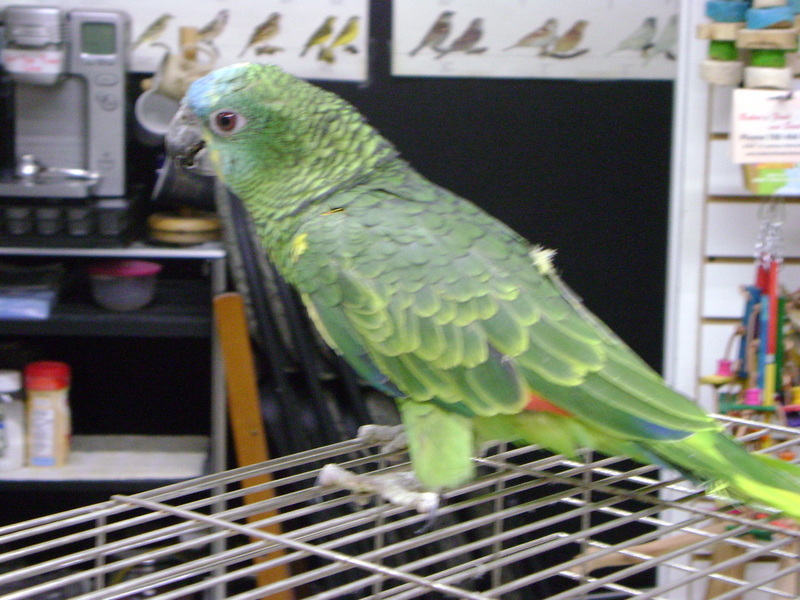 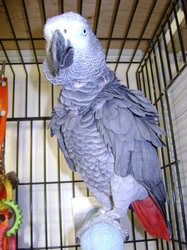 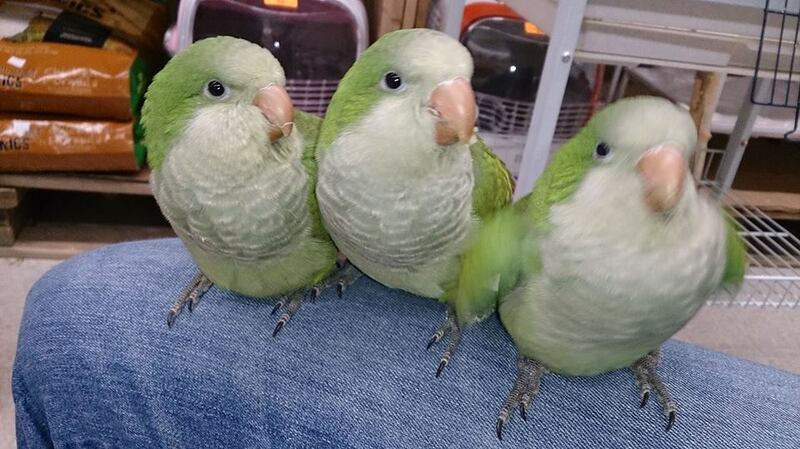 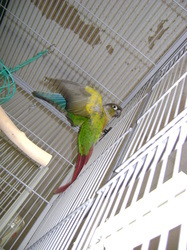 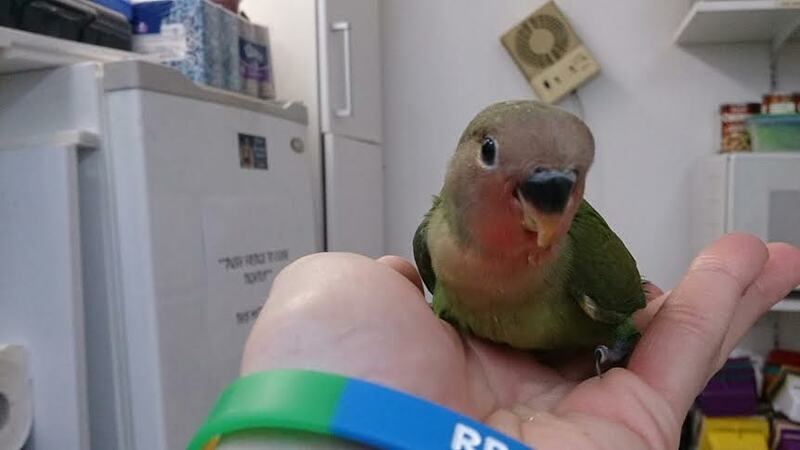 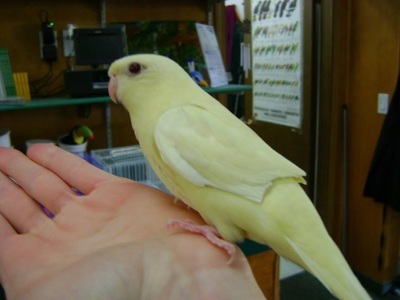 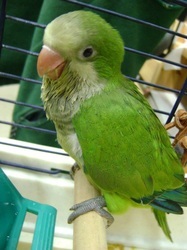 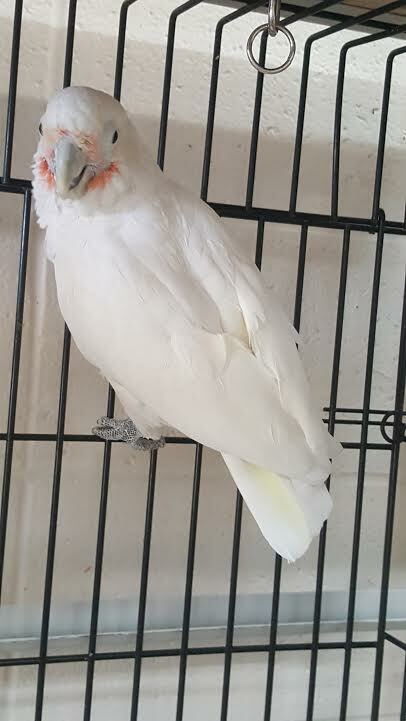 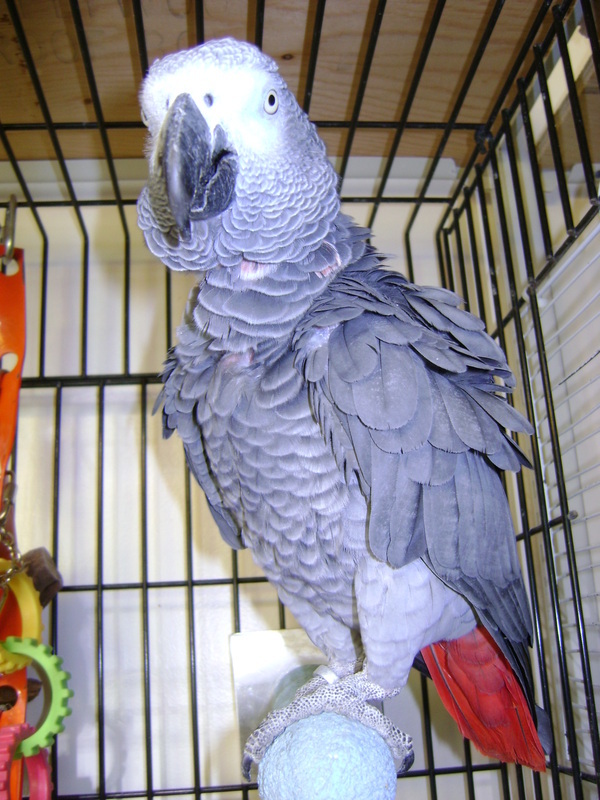 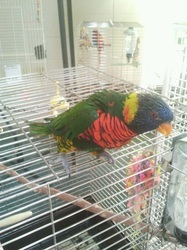 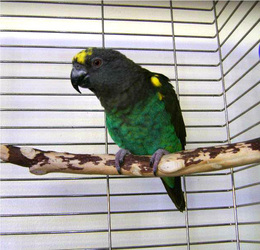 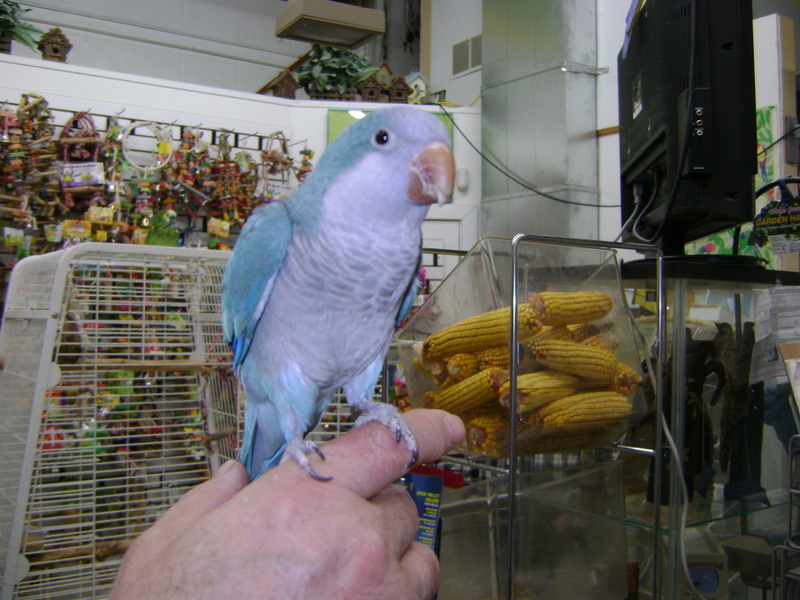 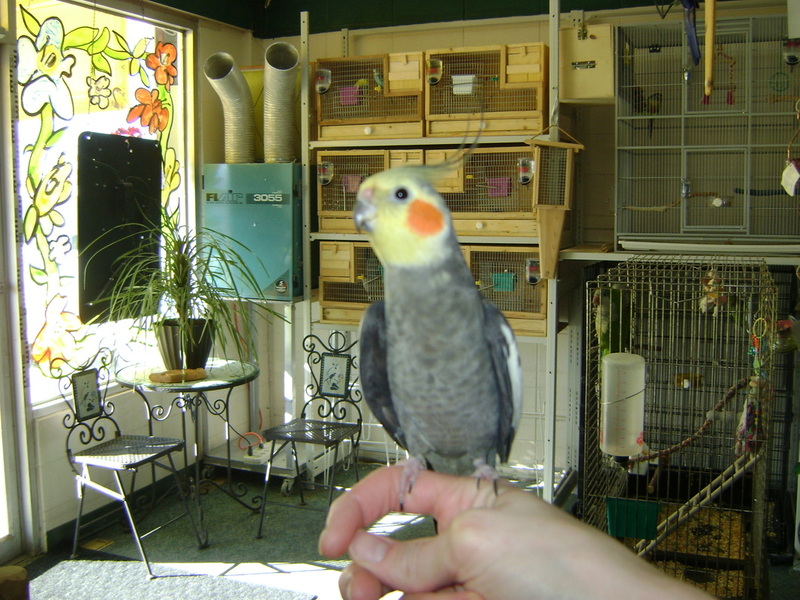 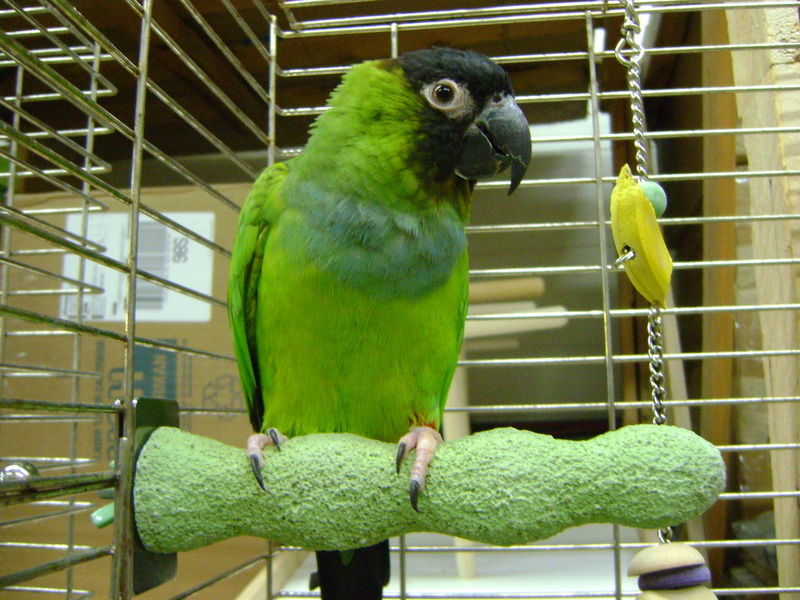 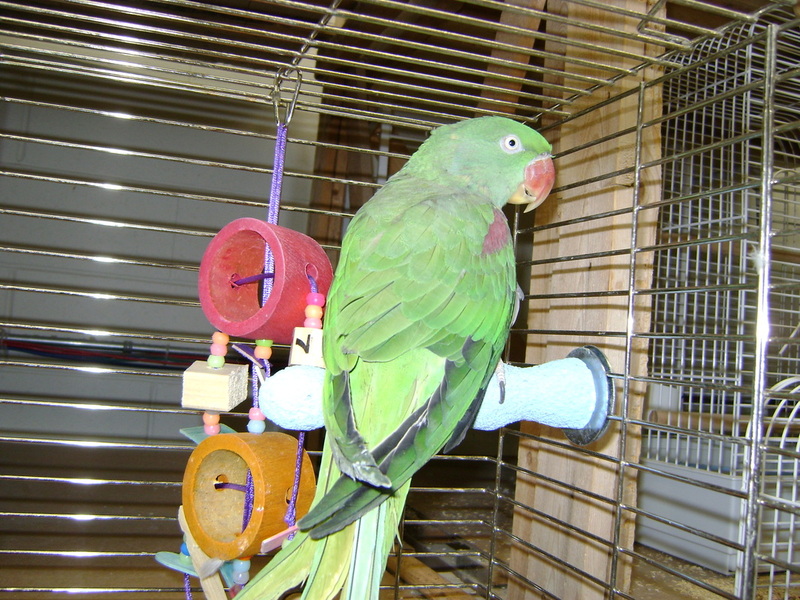 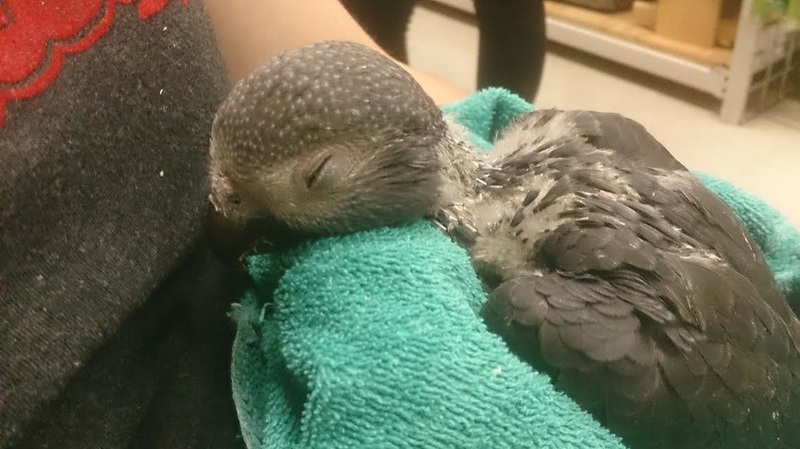 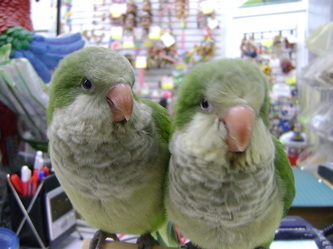 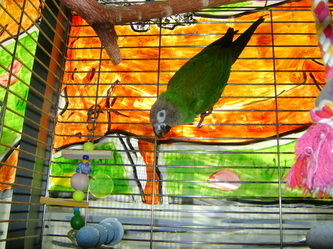 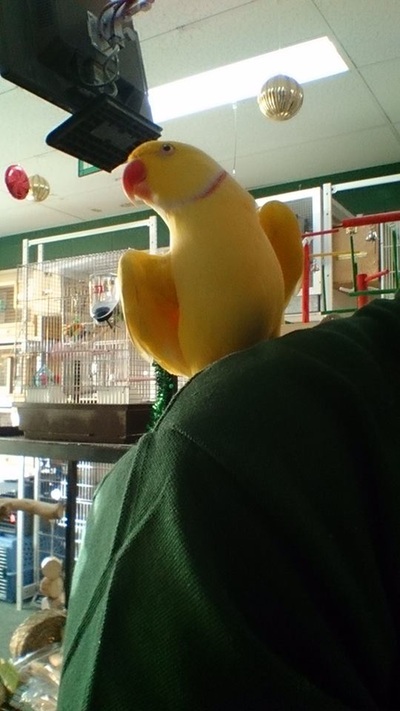 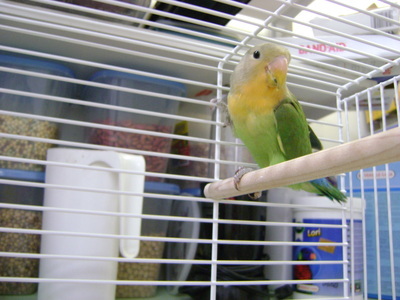 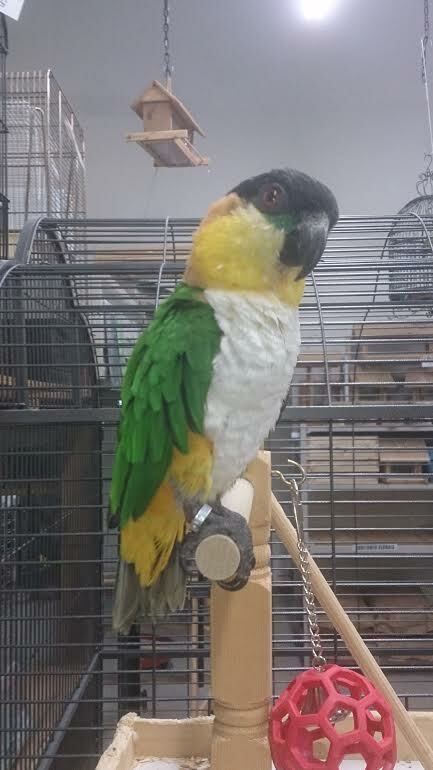 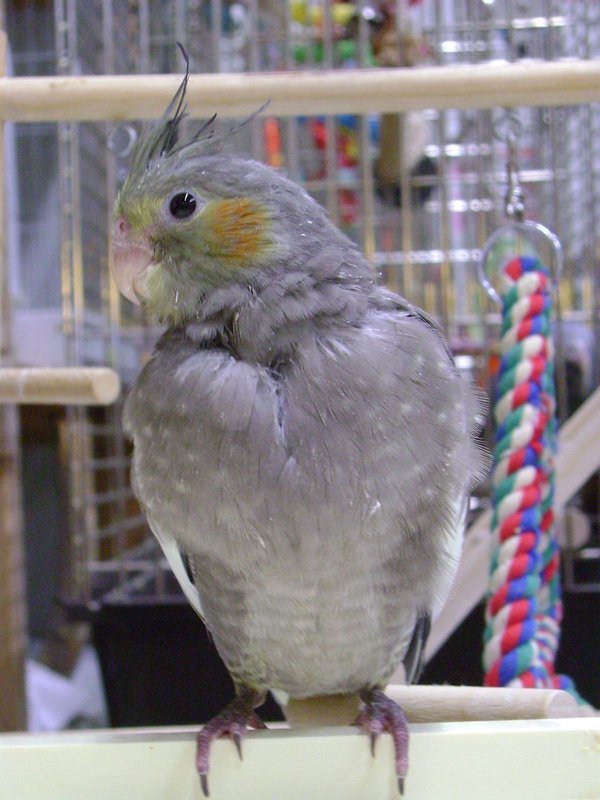 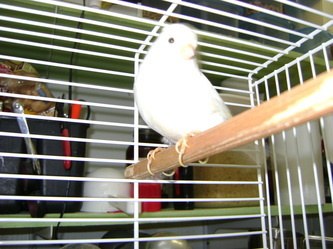 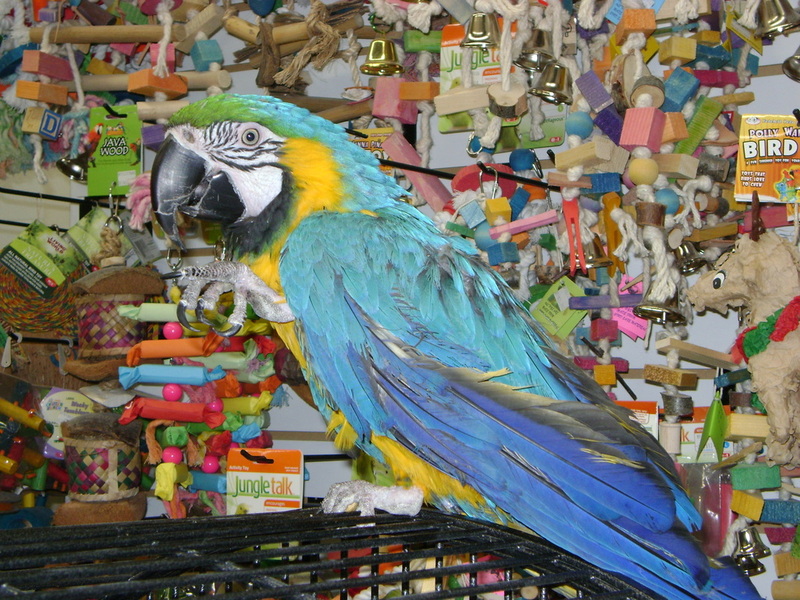 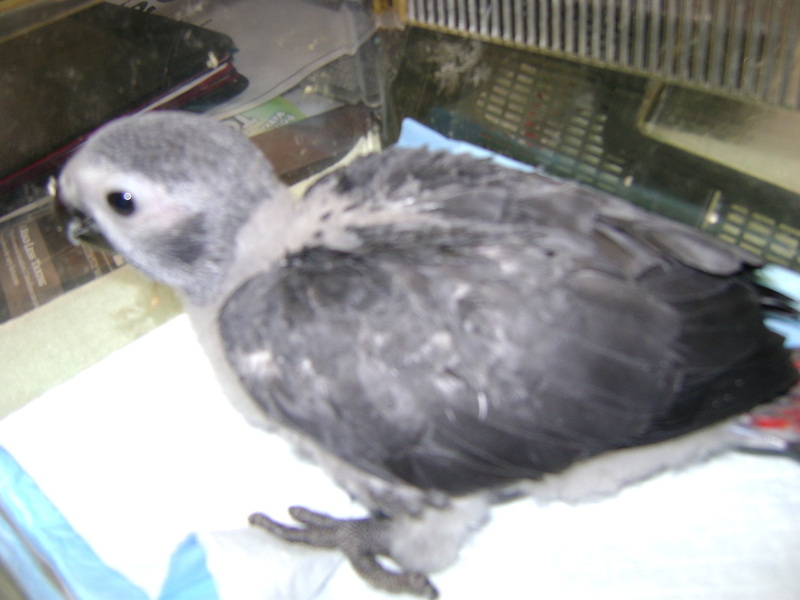 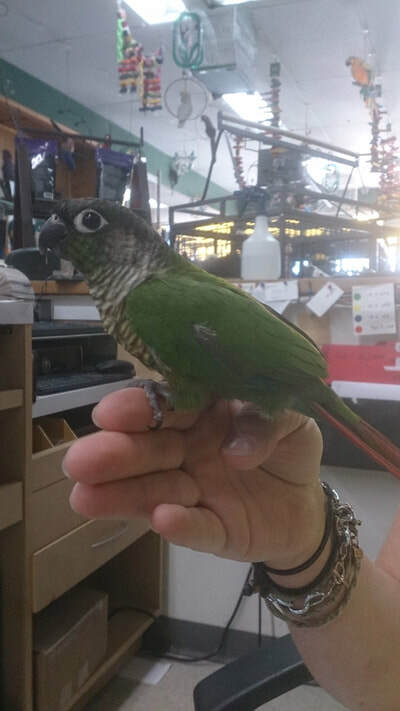 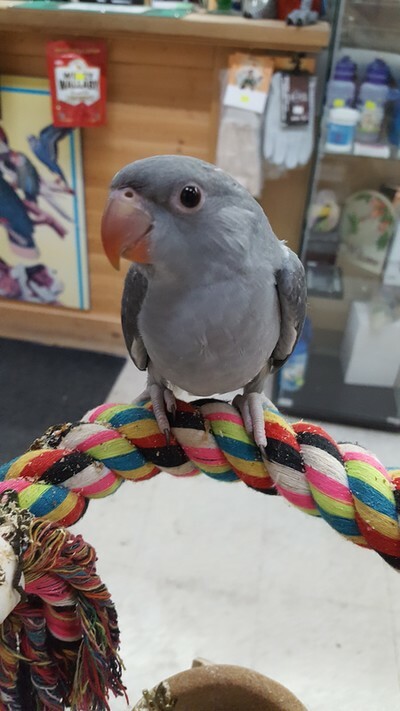 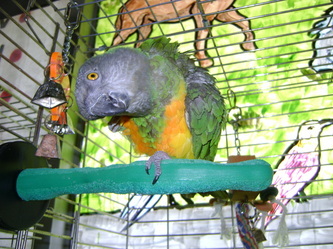 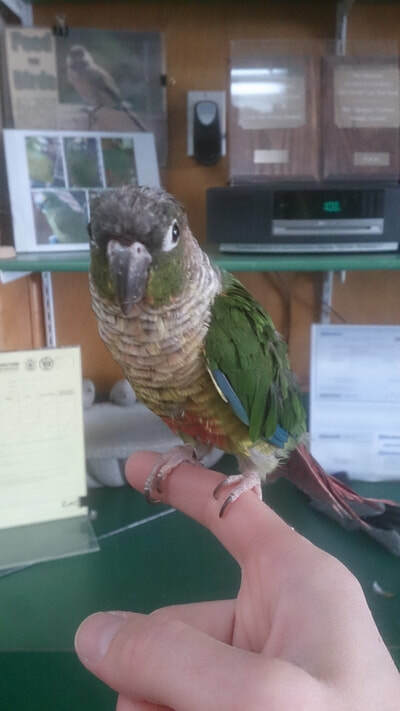 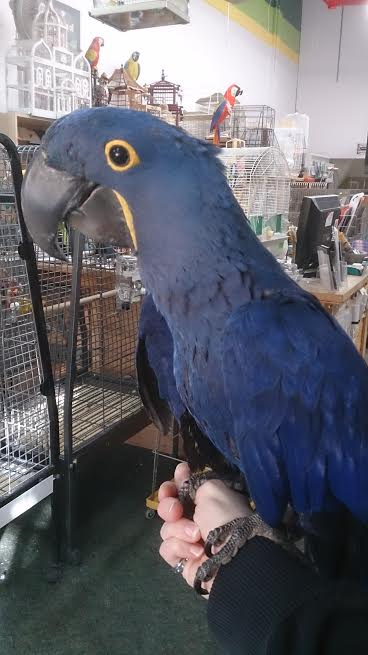 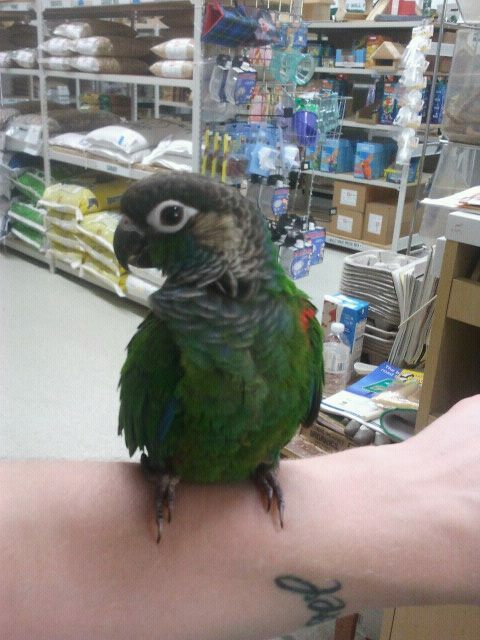 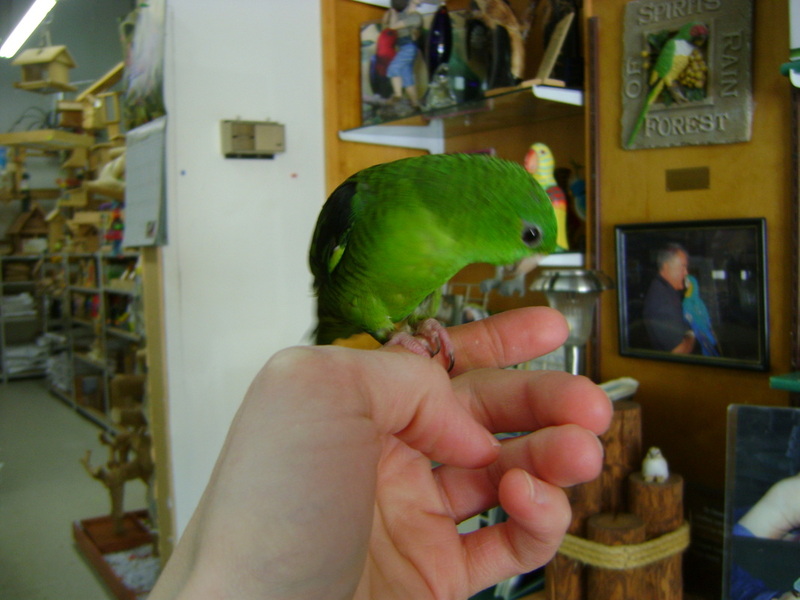 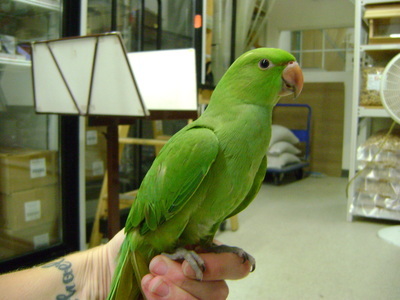 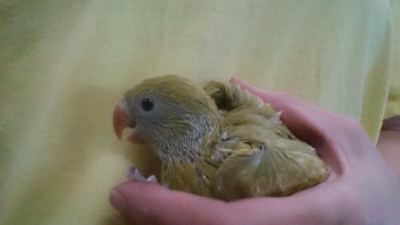 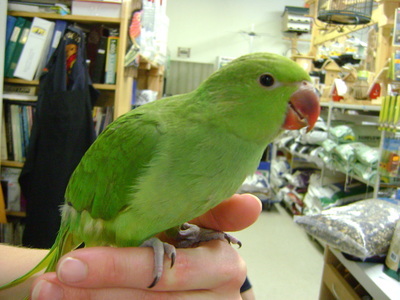 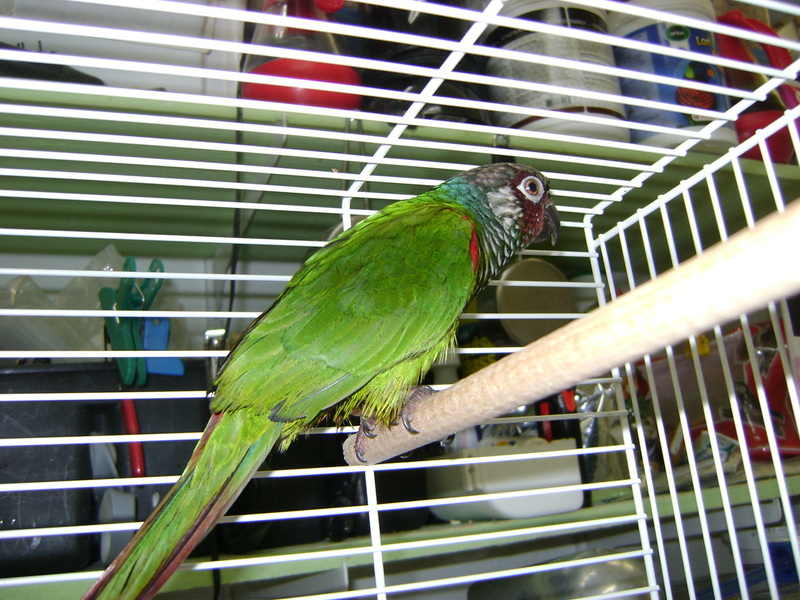 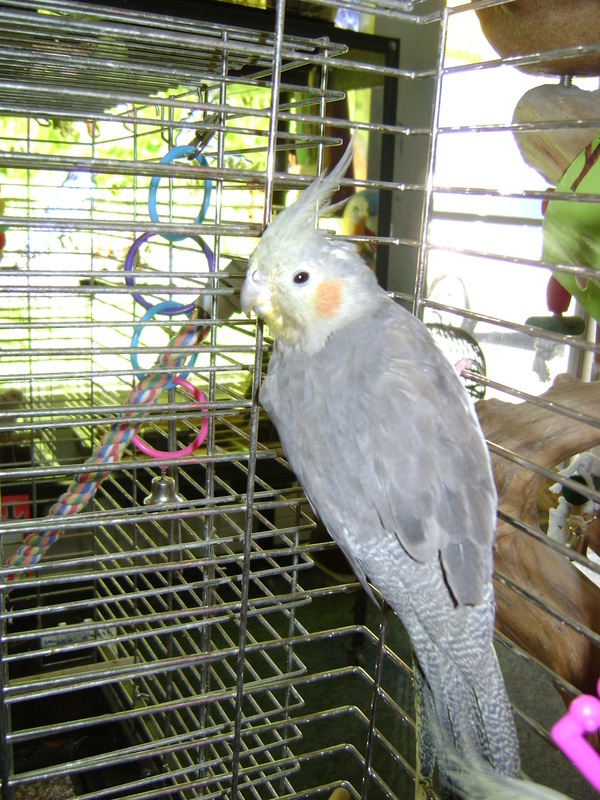 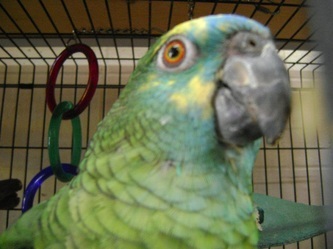 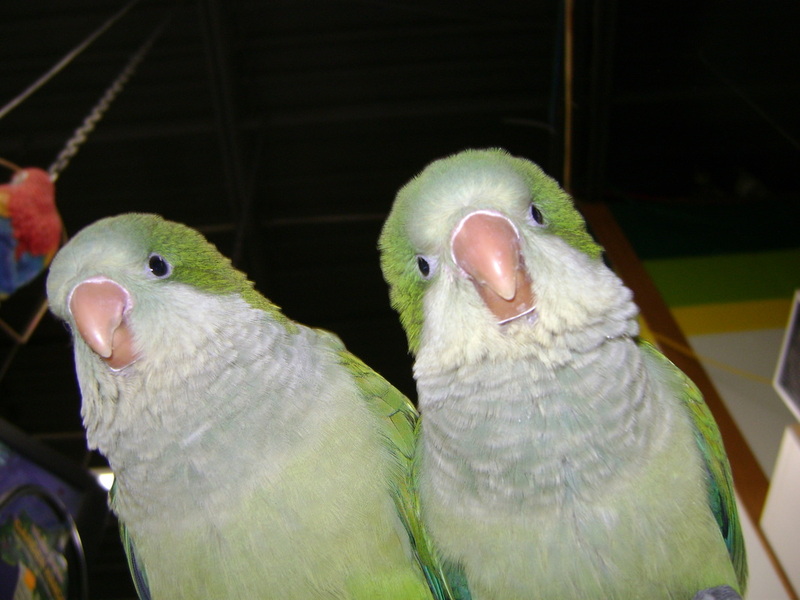 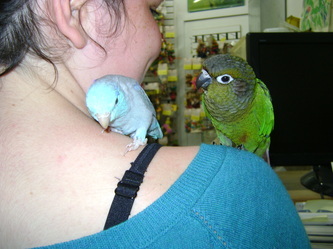 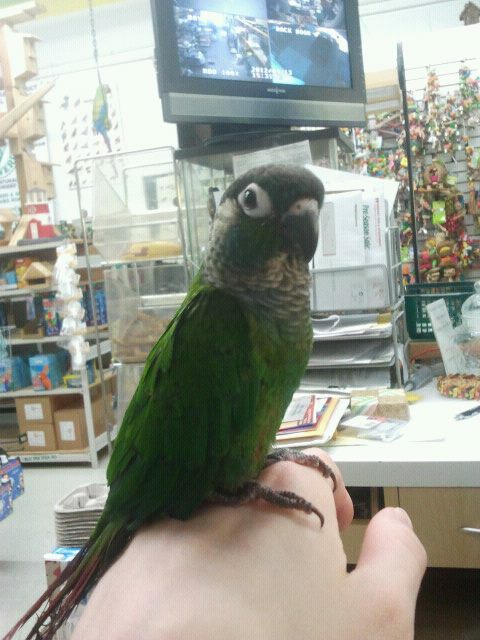 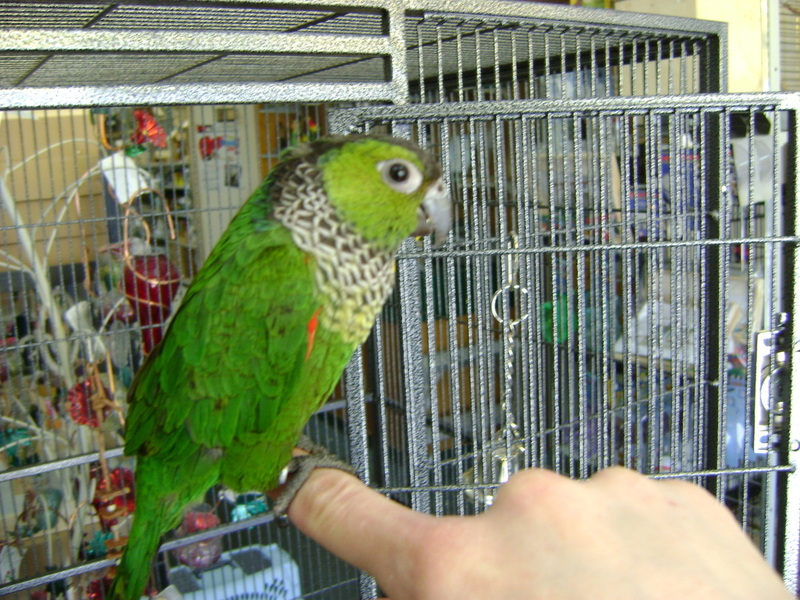 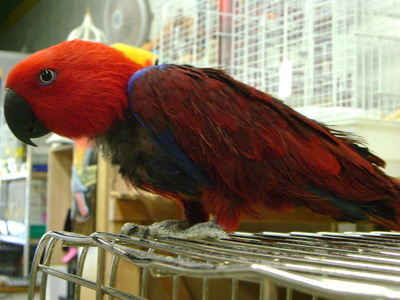 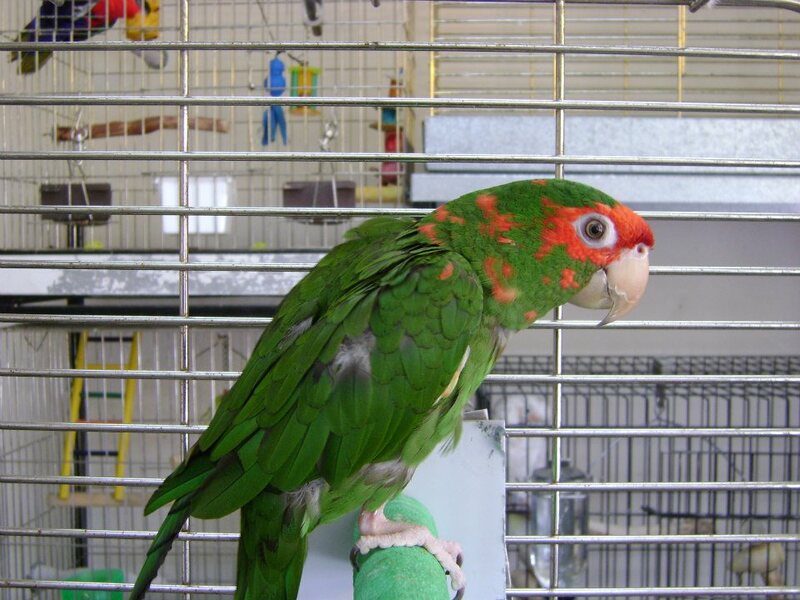 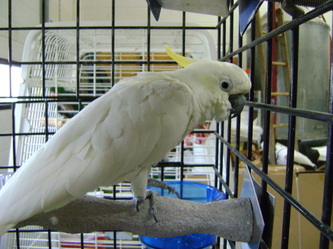 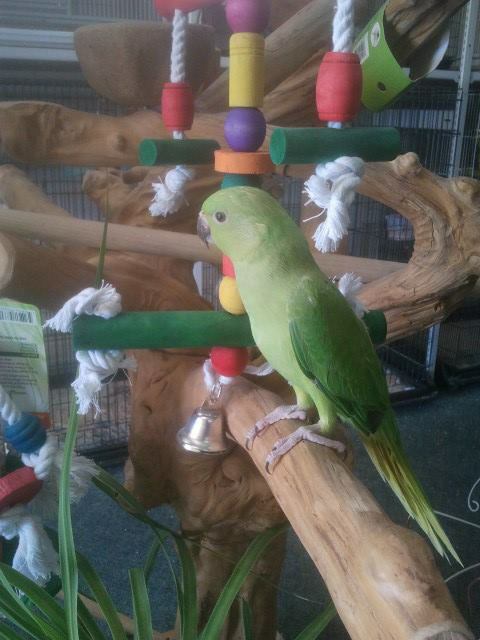 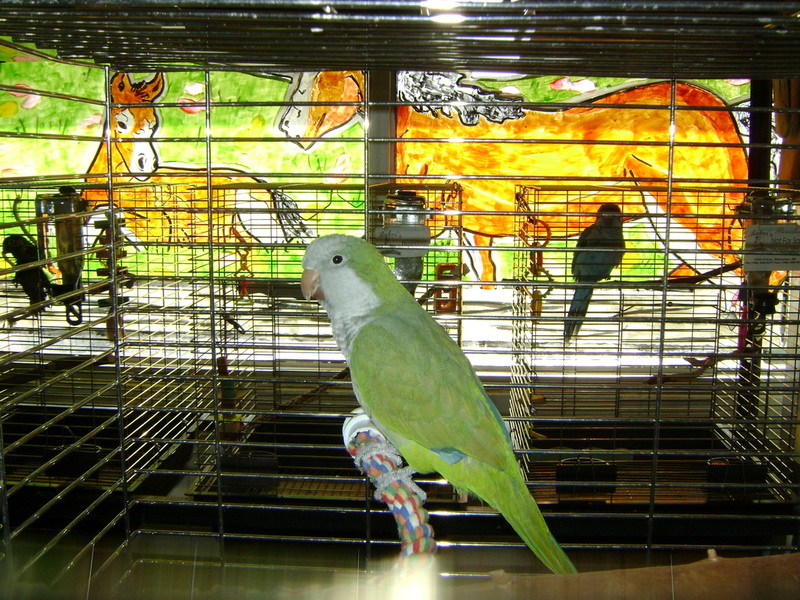 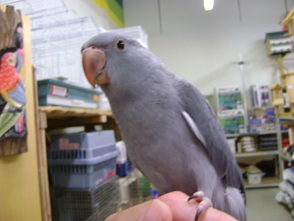 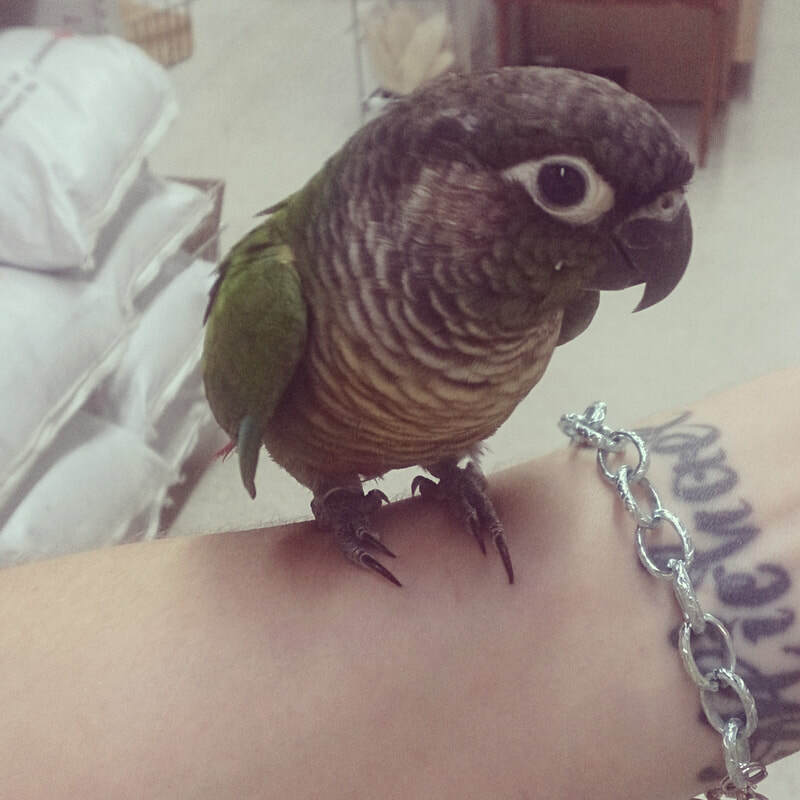 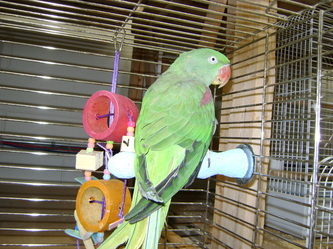 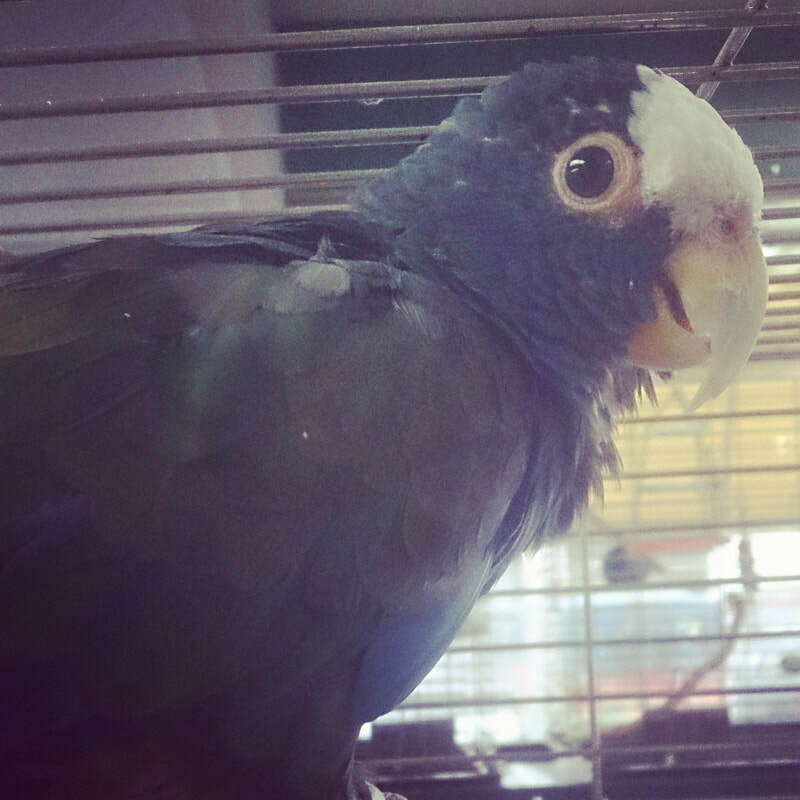 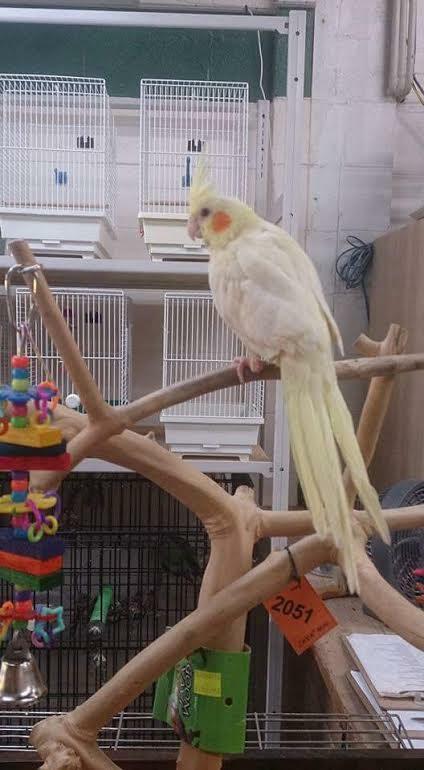 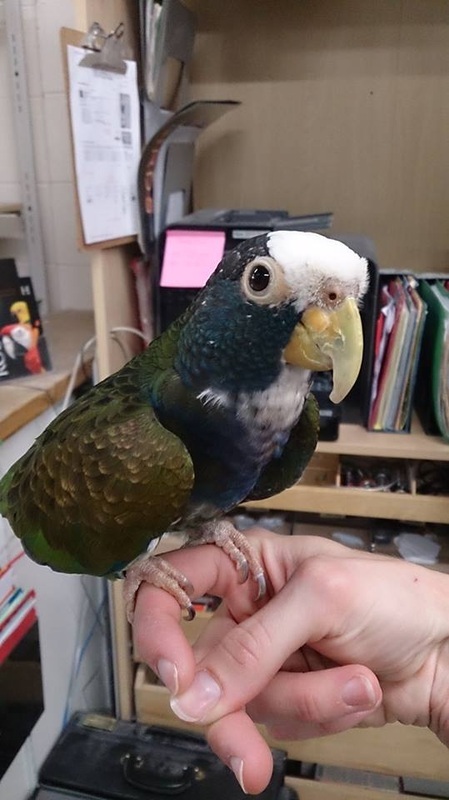 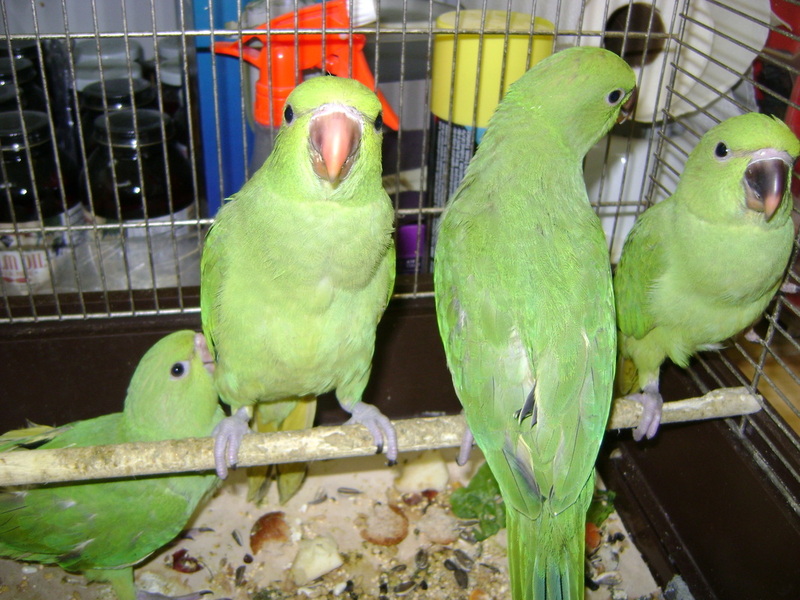 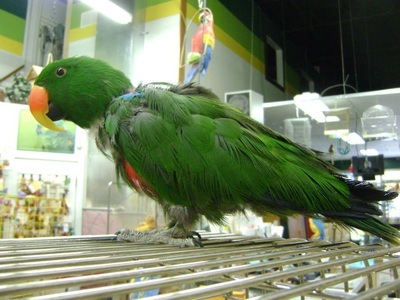 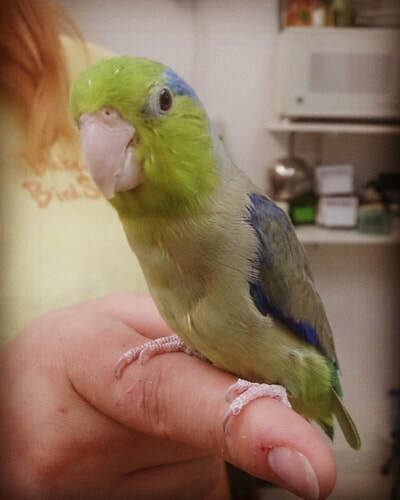 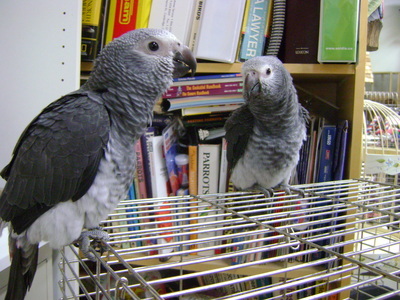 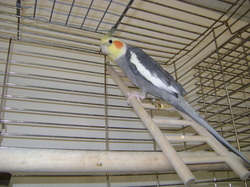 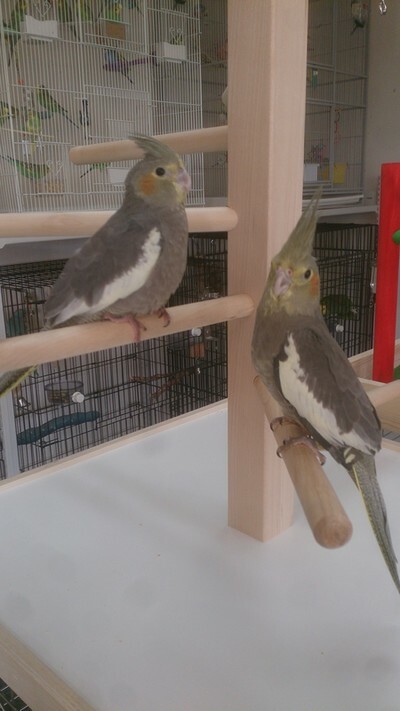 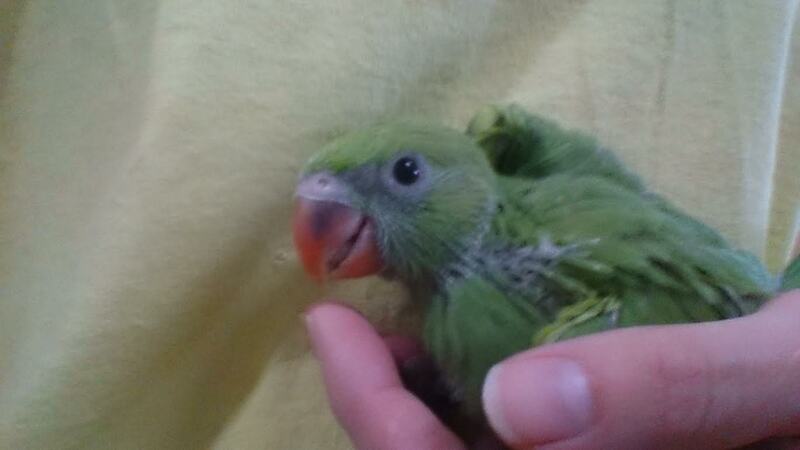 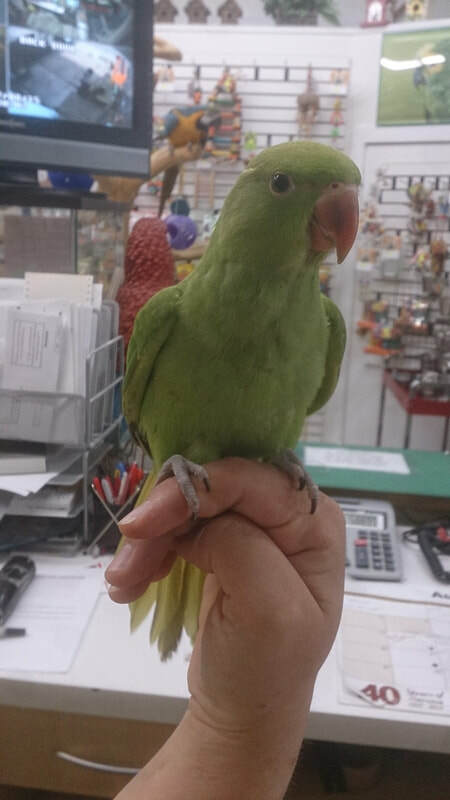 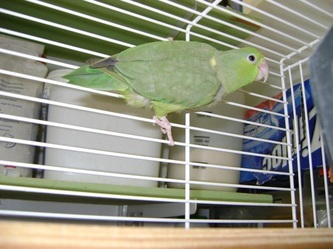 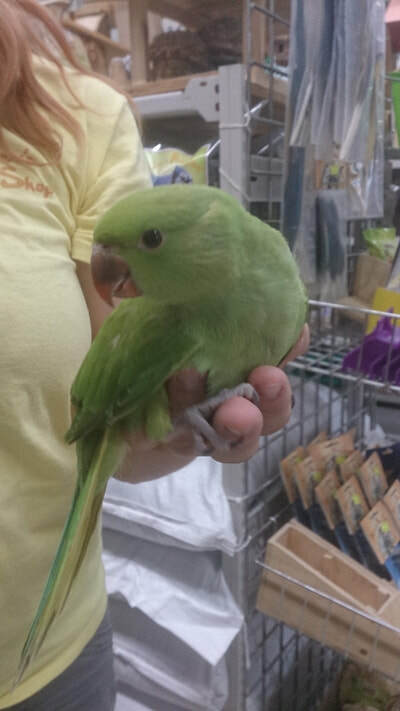 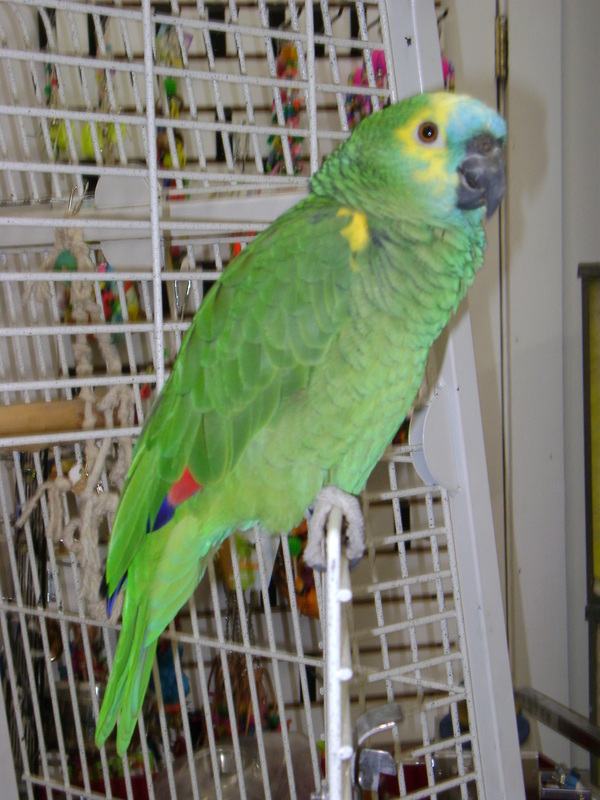 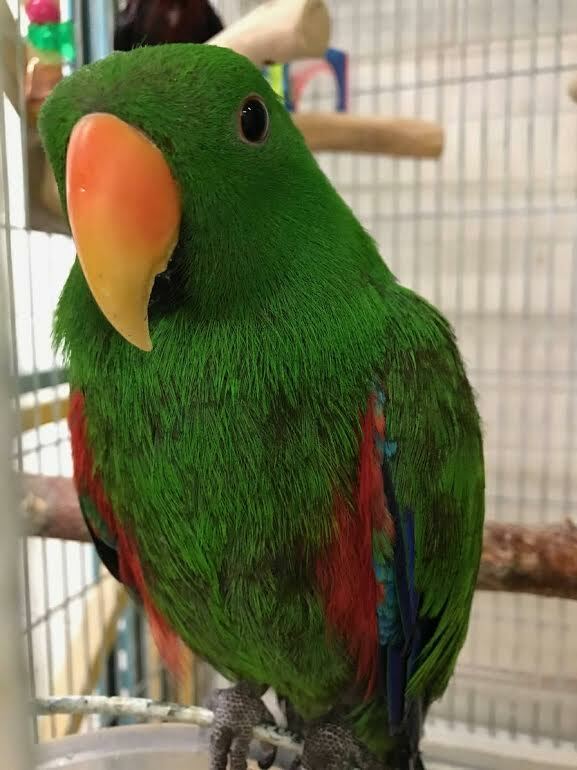 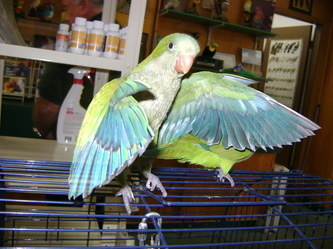 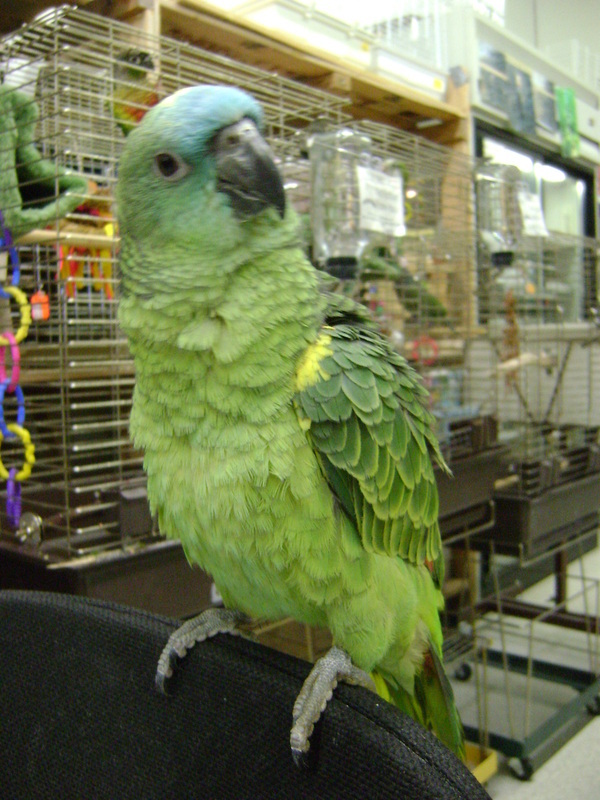 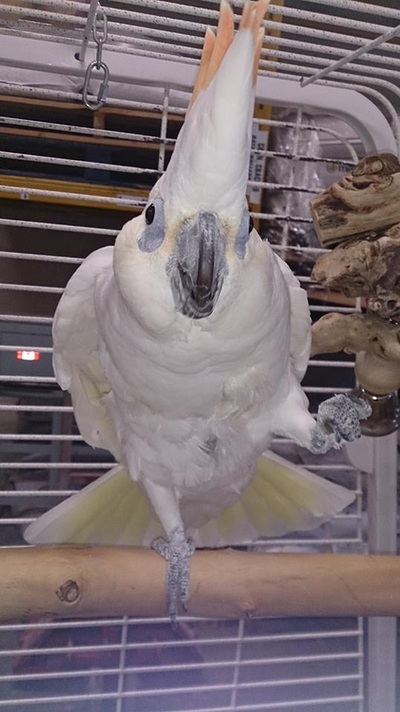 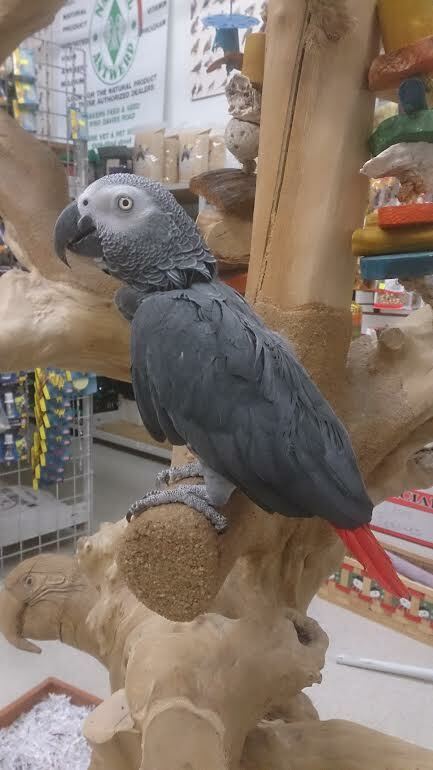 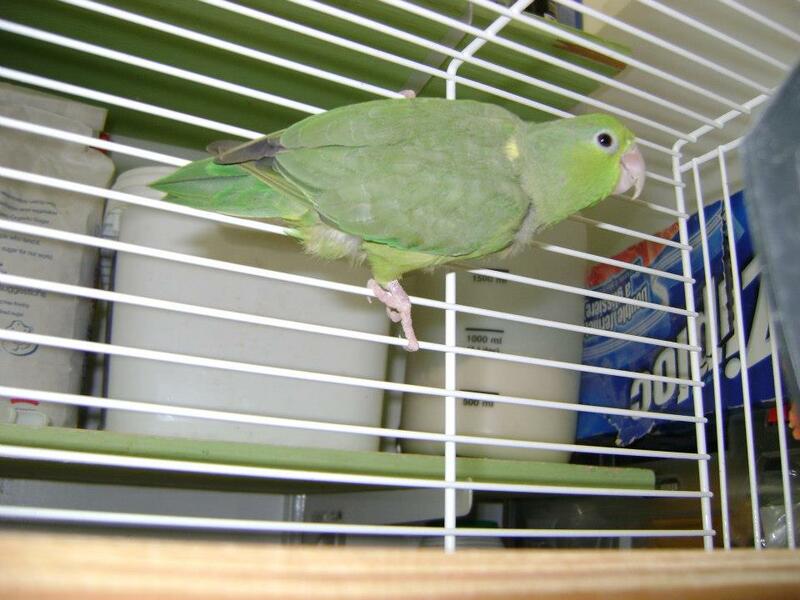 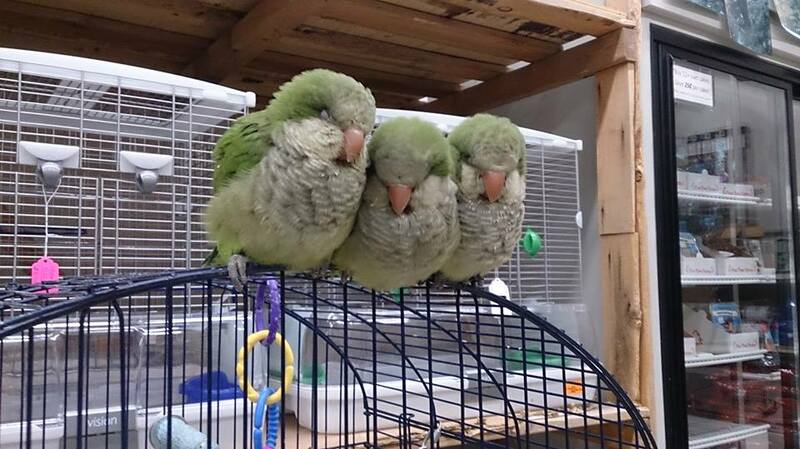 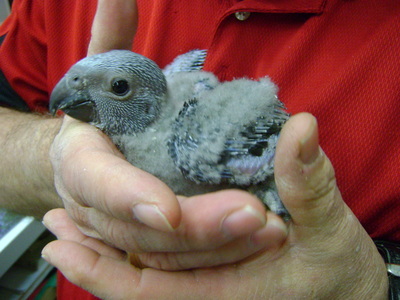 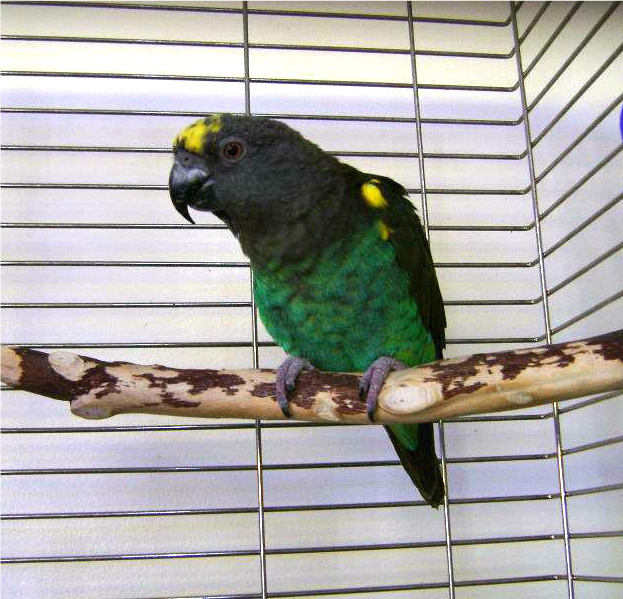 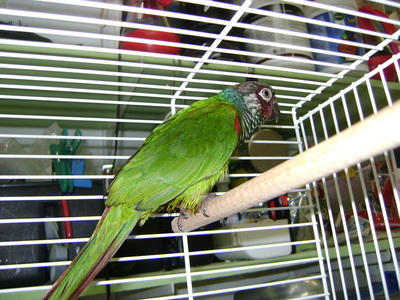 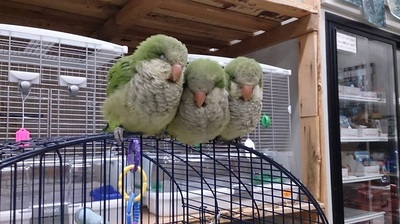 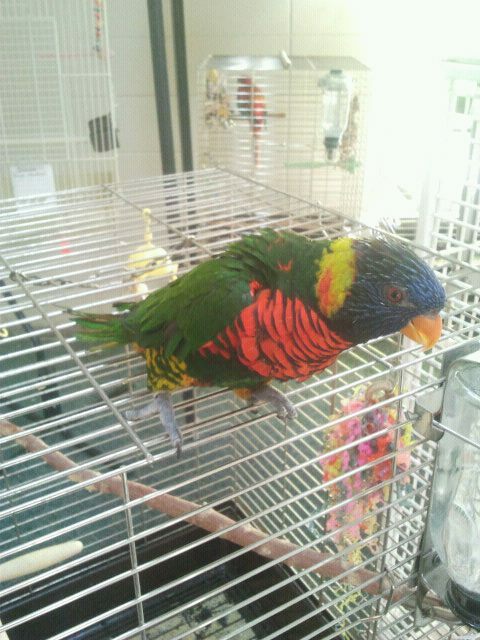 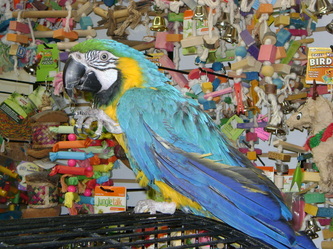 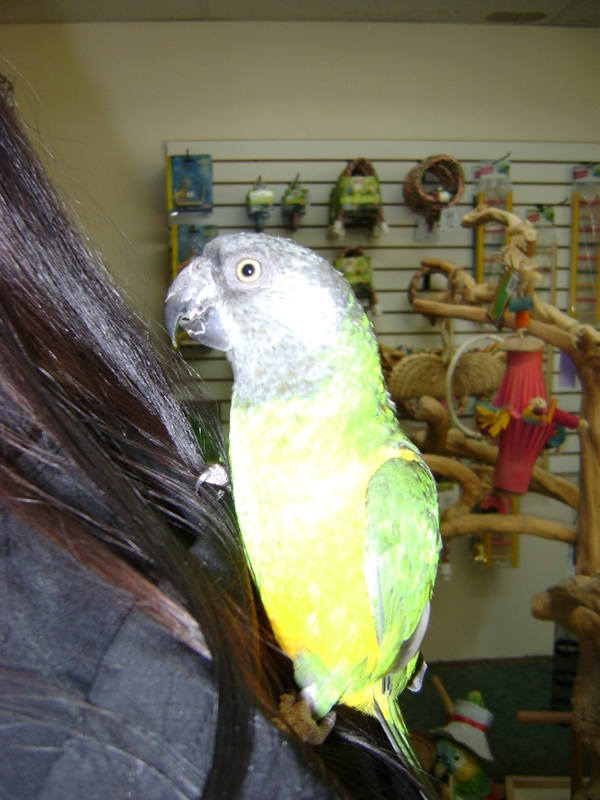 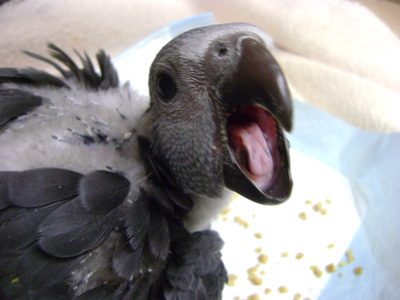 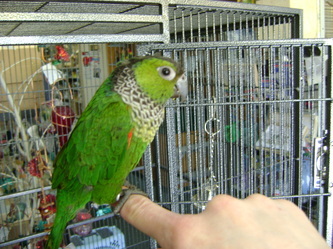 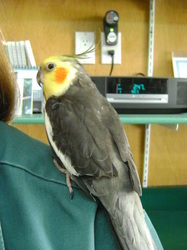 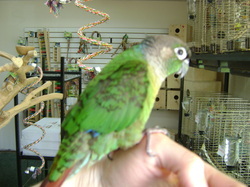 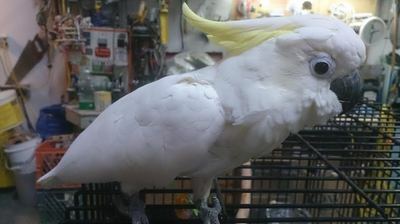 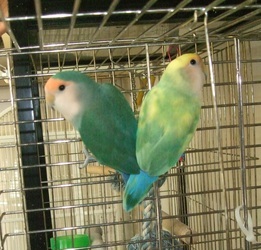 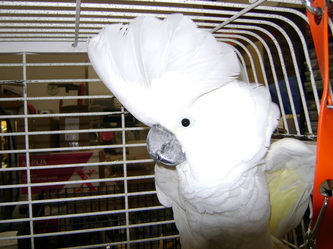 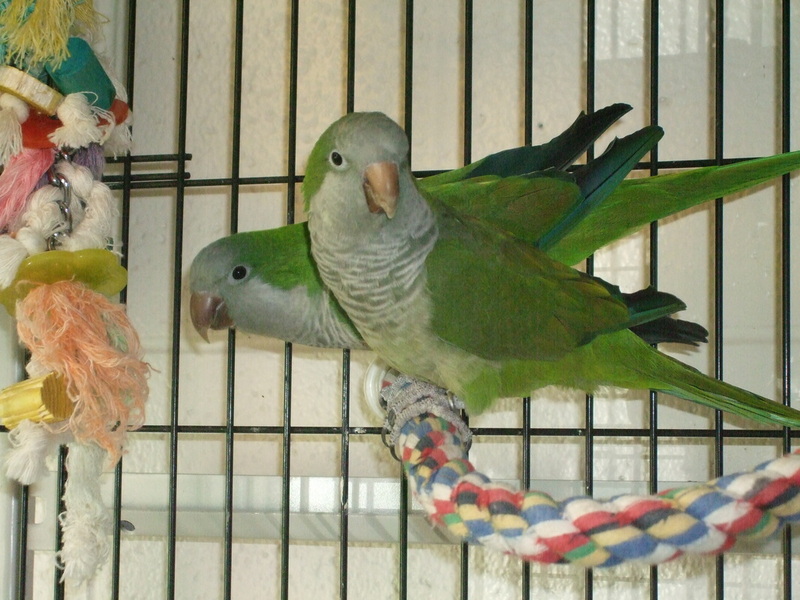 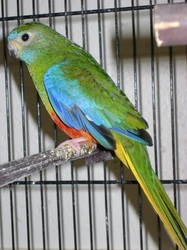 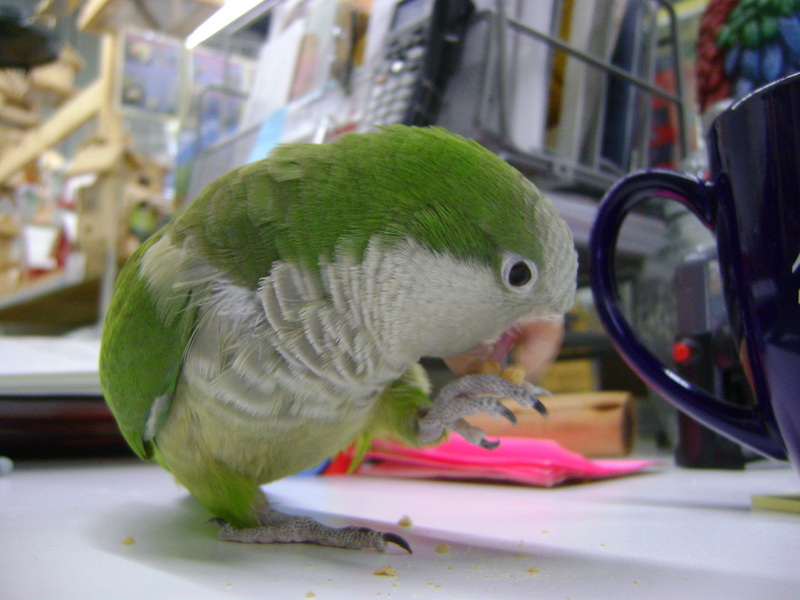 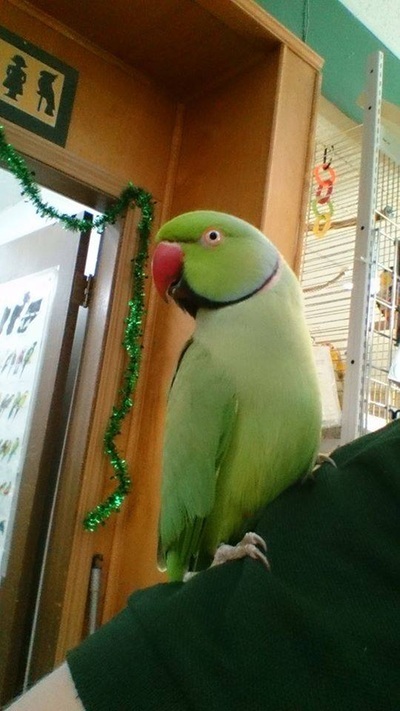 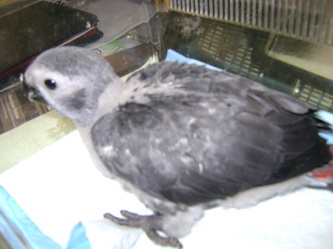 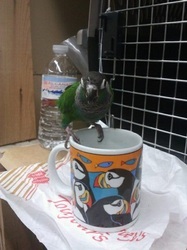 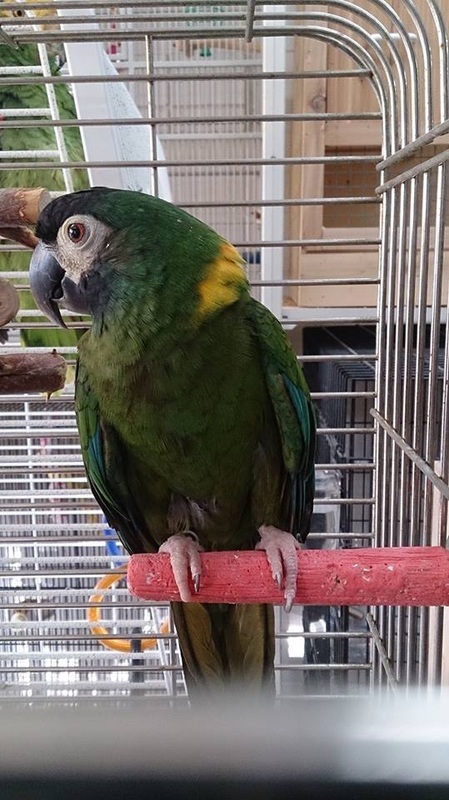 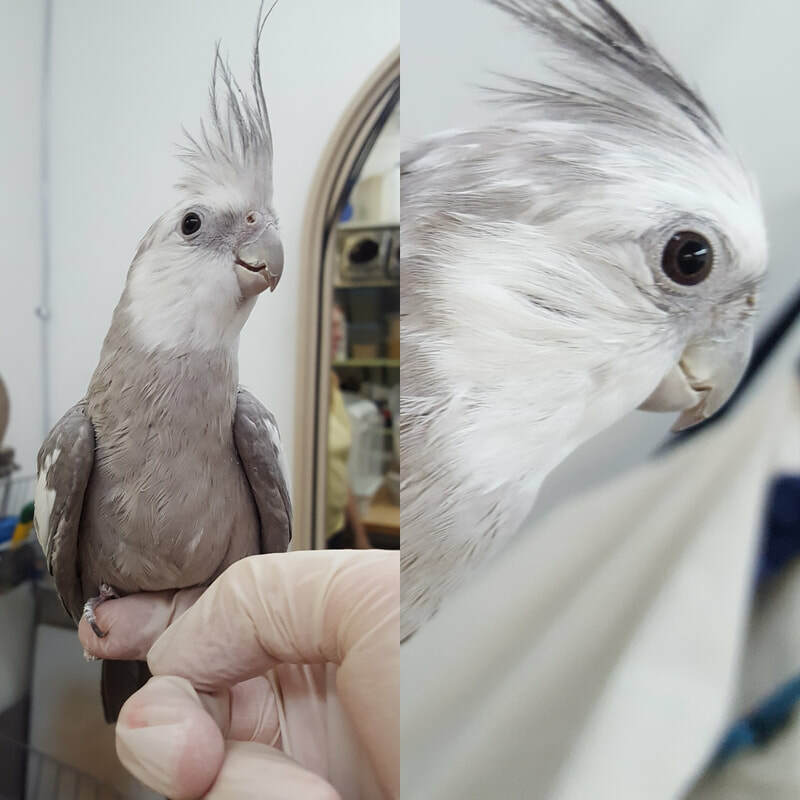 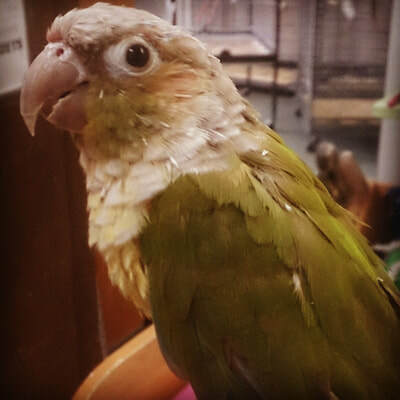 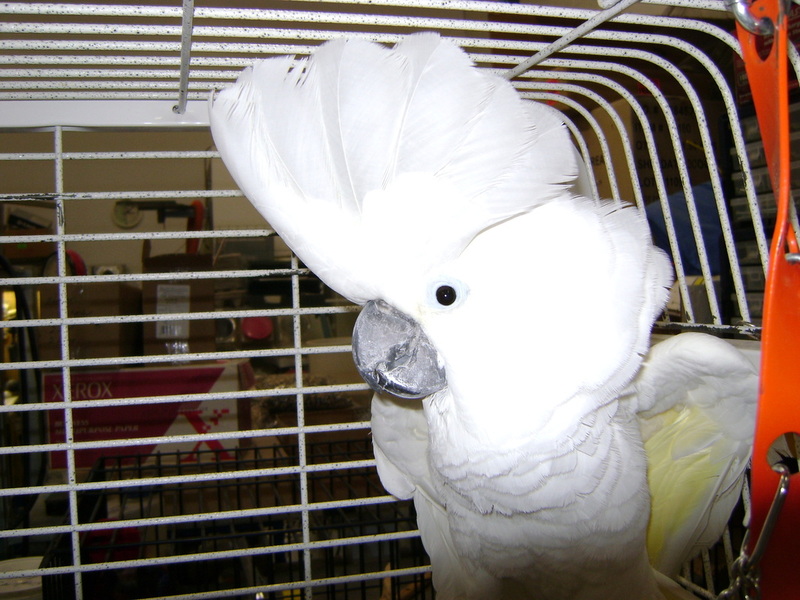 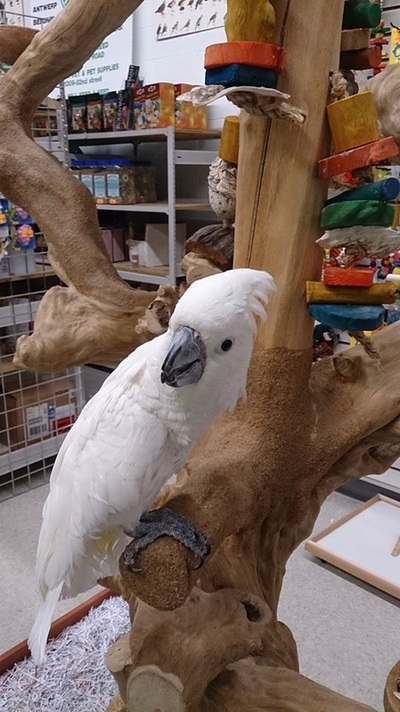 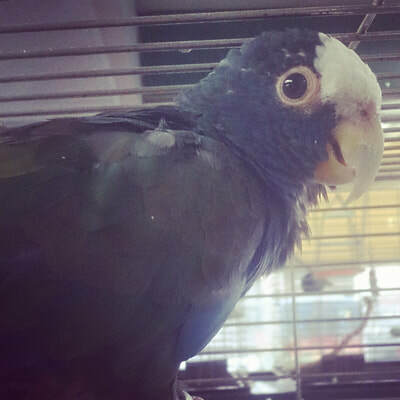 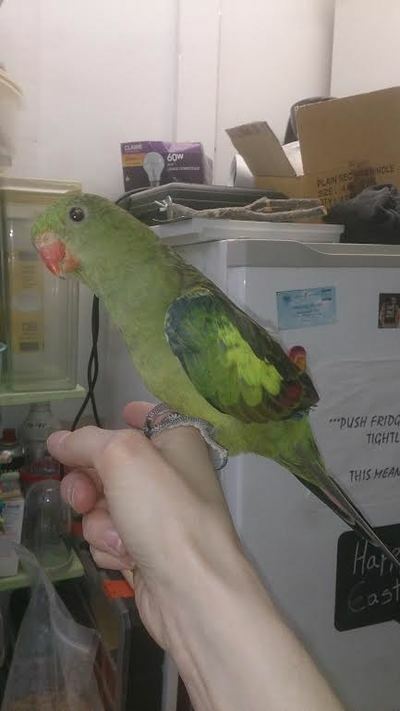 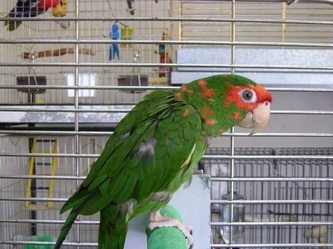 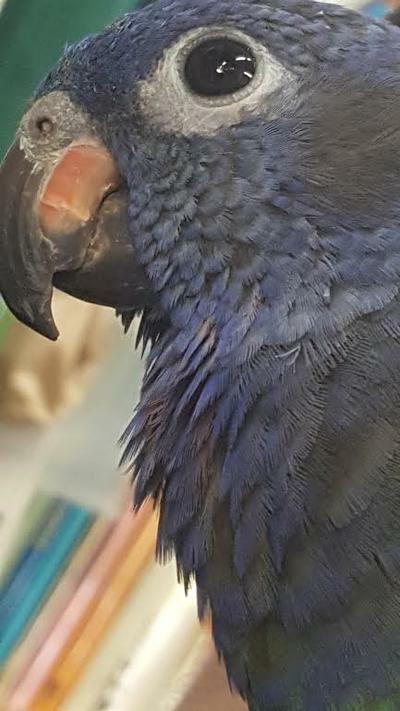 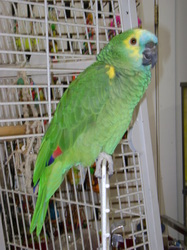 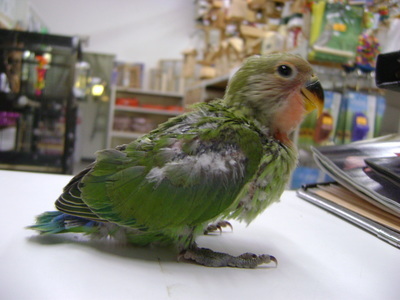 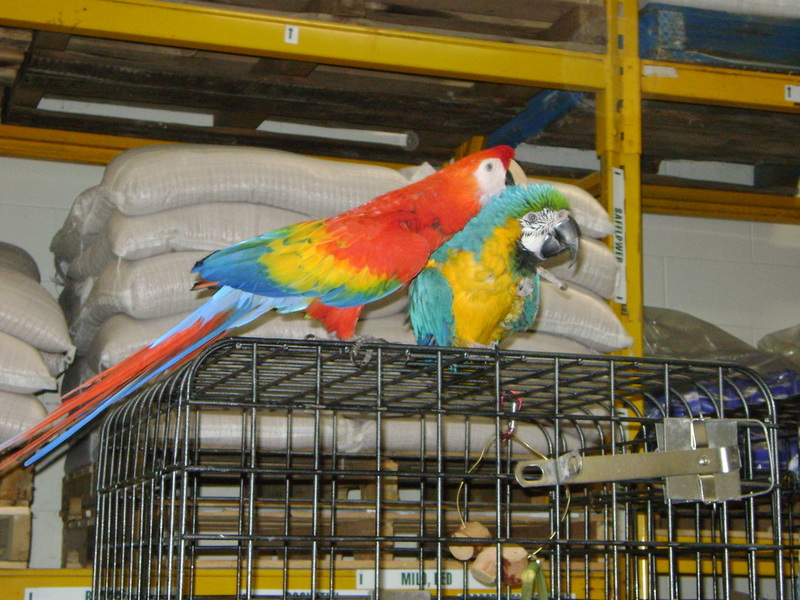 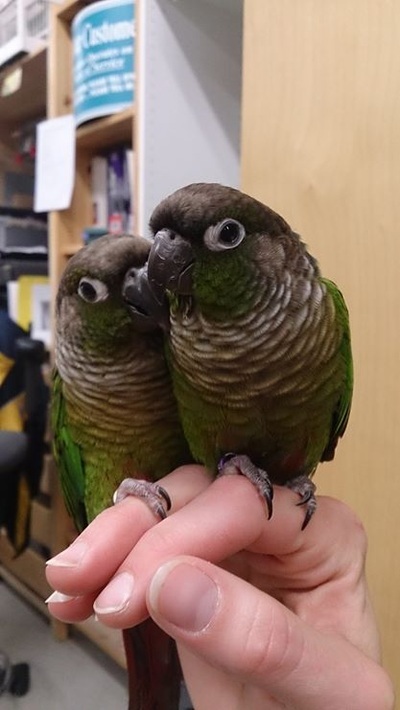 Sanchez is a male Senegal parrot. 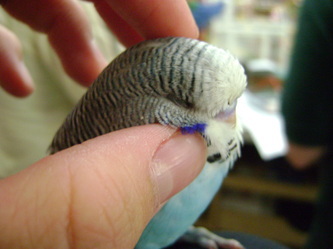 He is partially hand-trained at this time. We are working with him everyday. 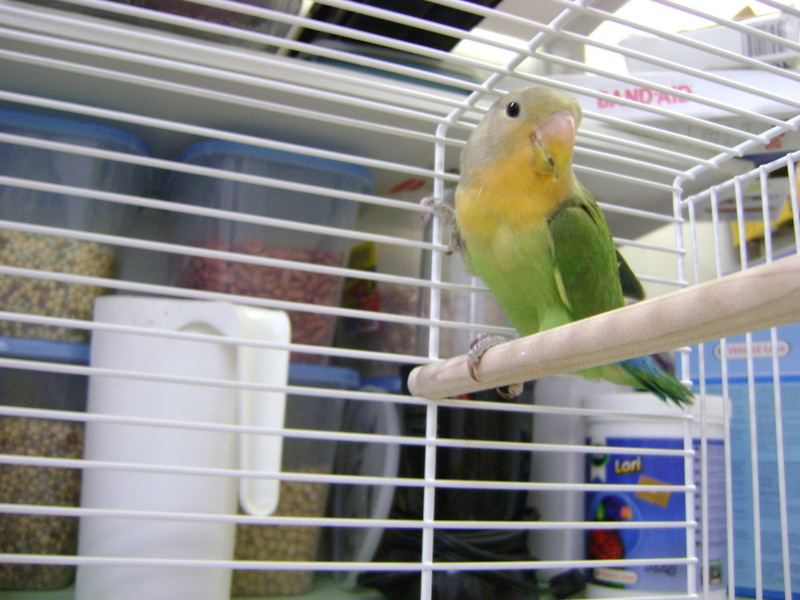 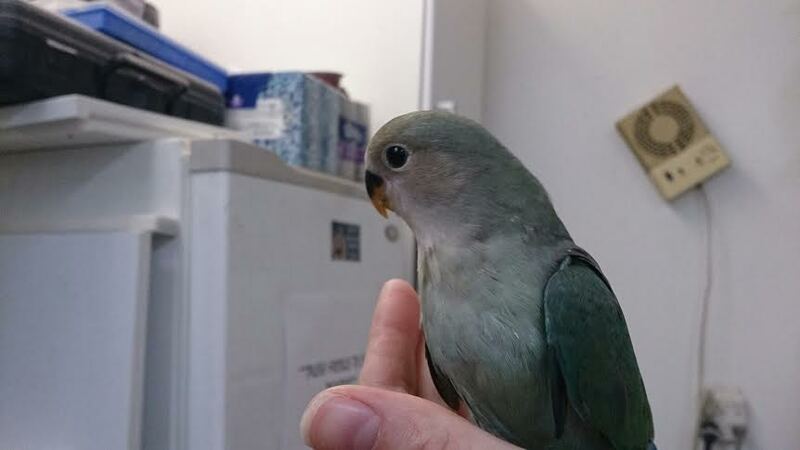 Nora is a female Indian Ringneck. She is partially hand-trained, but we are working with her everyday. 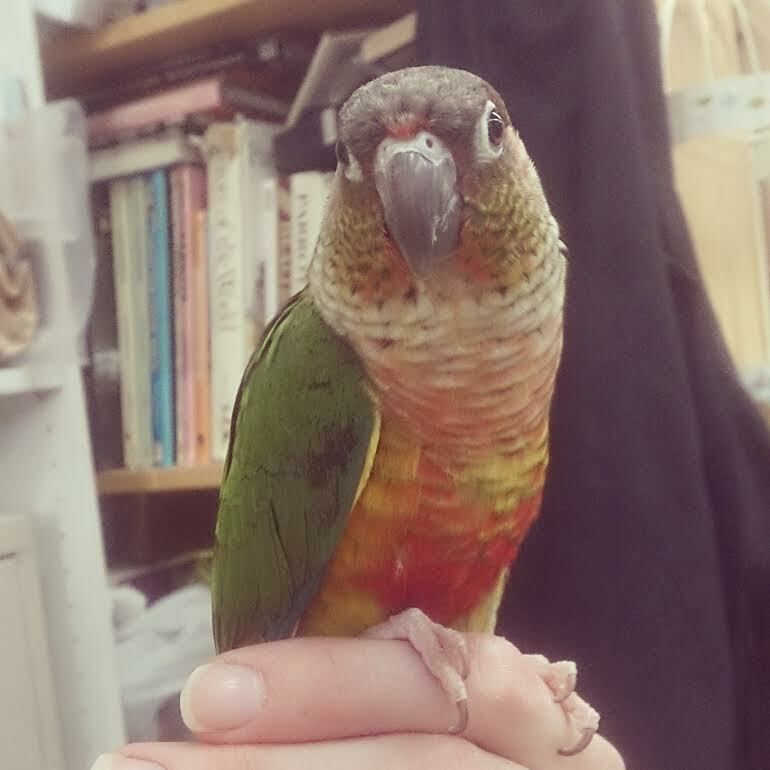 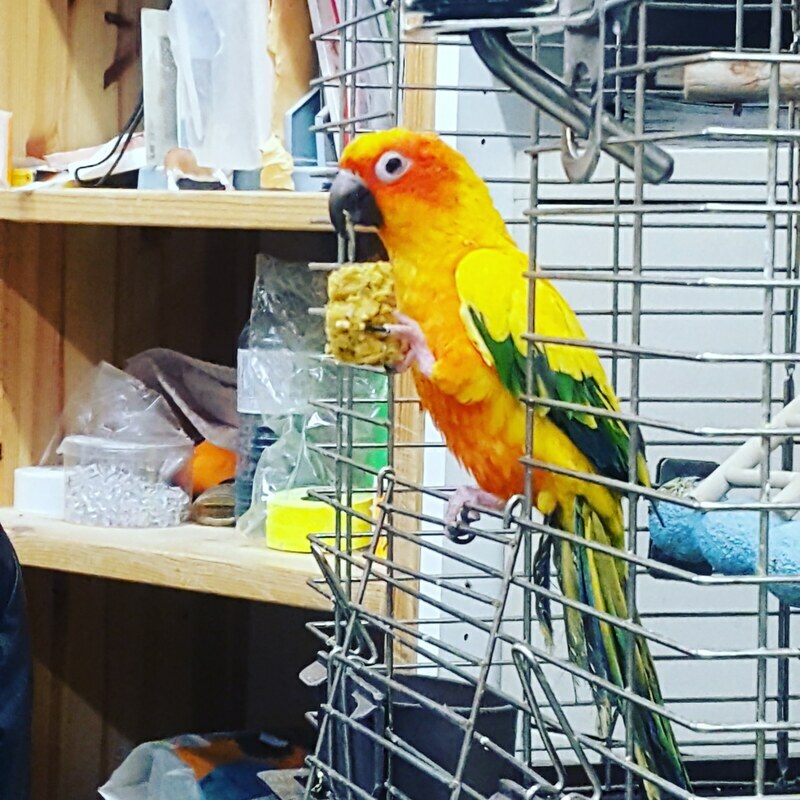 Chewy is a 4 year old male Sun Conure. 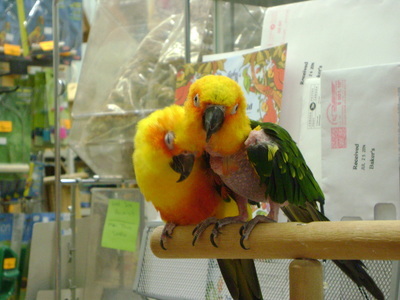 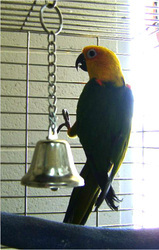 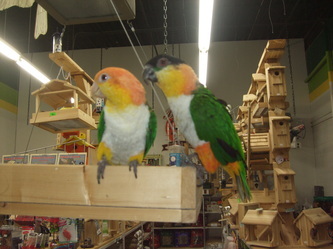 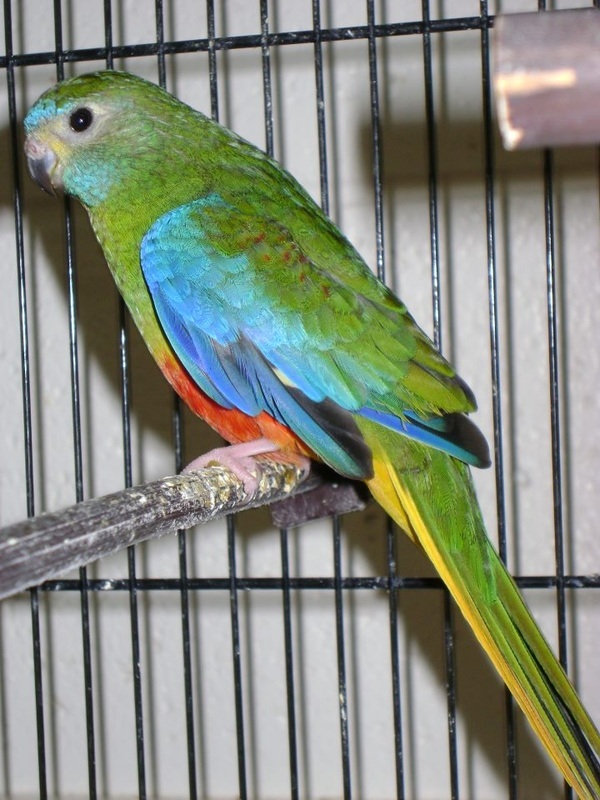 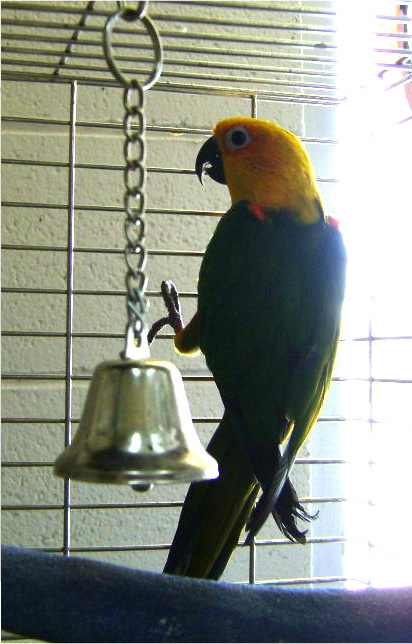 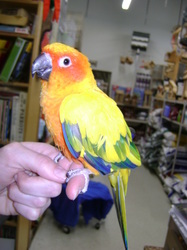 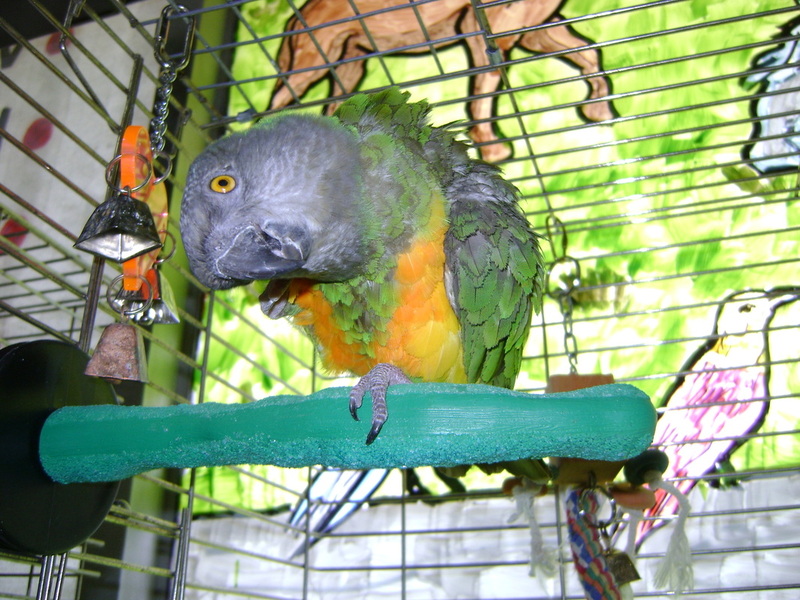 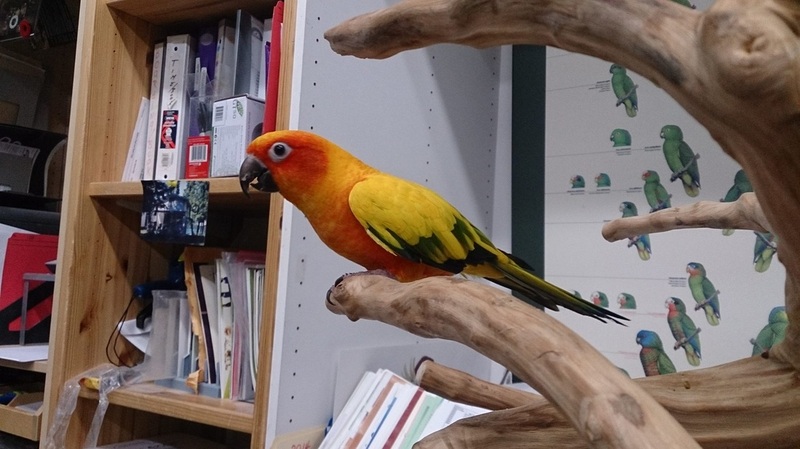 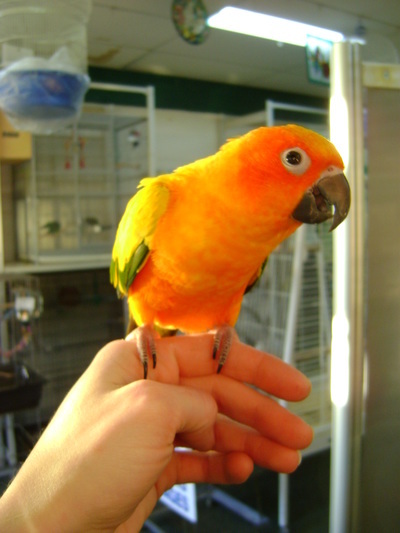 Sun Conures are VERY loud, and this should be taken into consideration before purchasing a Sun Conure. 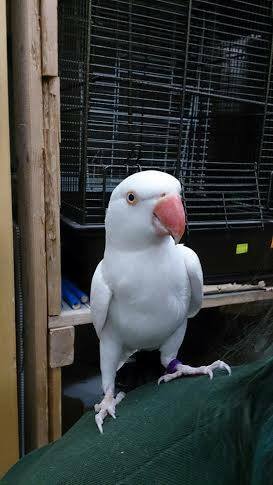 He does step up, but may take a few days to warm up to you. 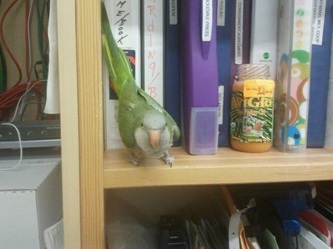 He does use his beak as a stepping stool, he is not biting. 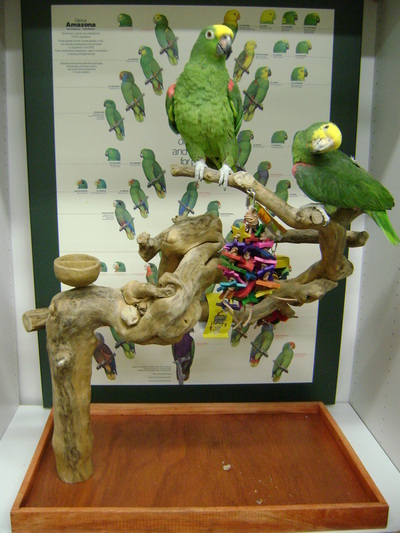 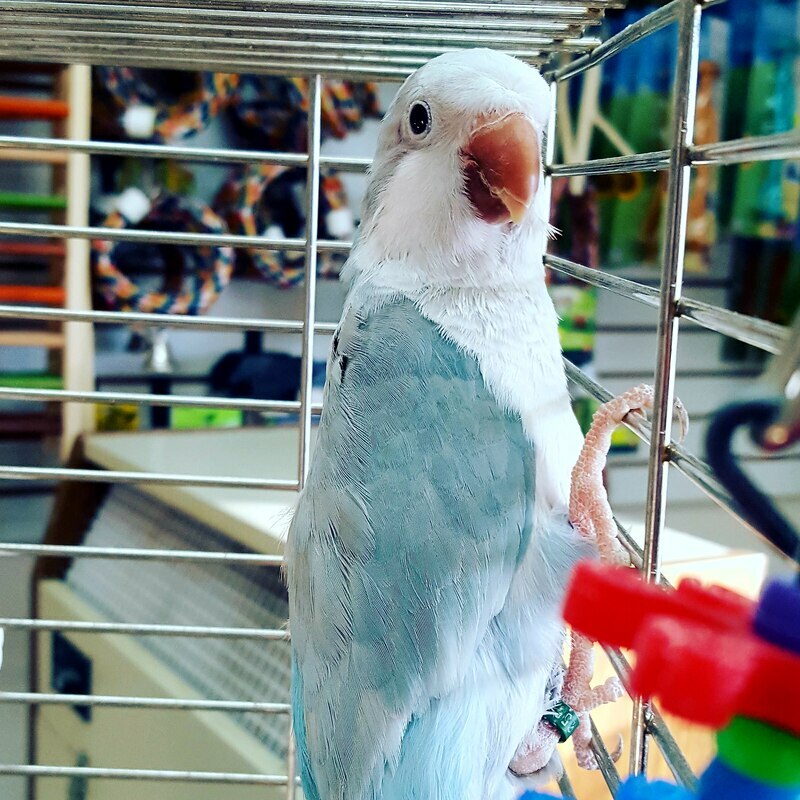 Ringnecks are elegant, beautiful, and curious parrots. 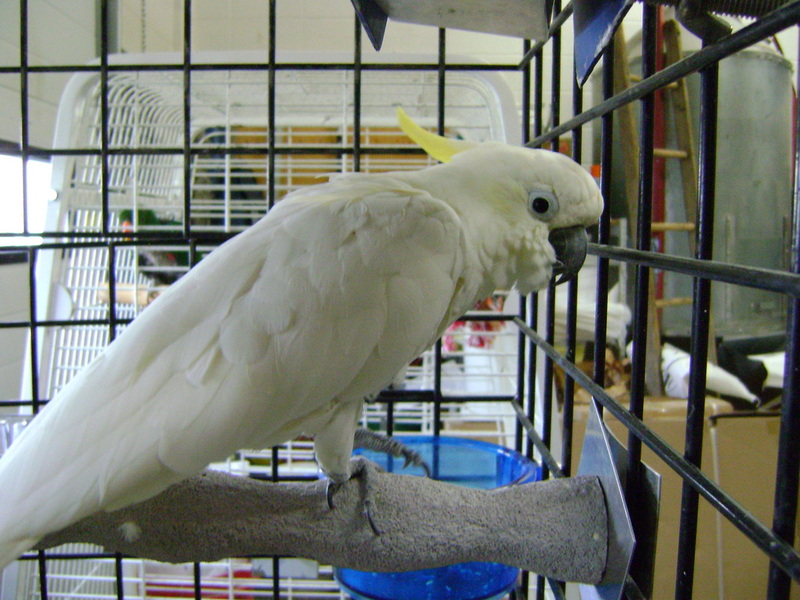 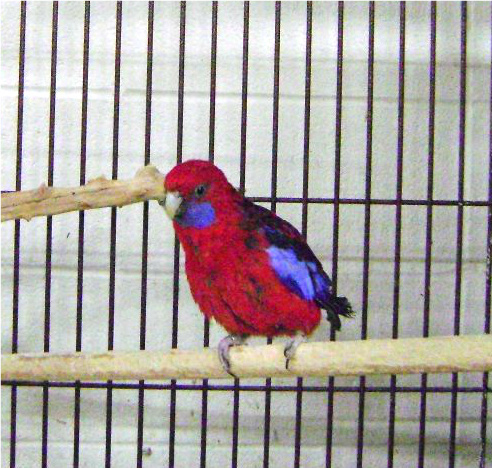 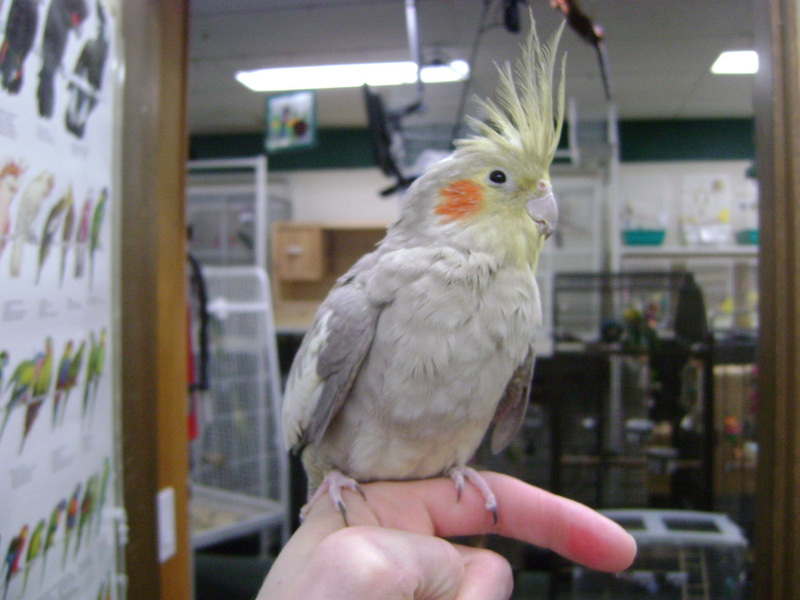 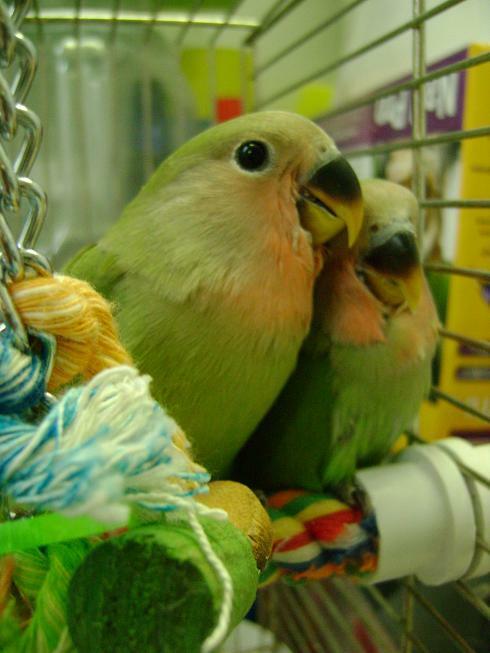 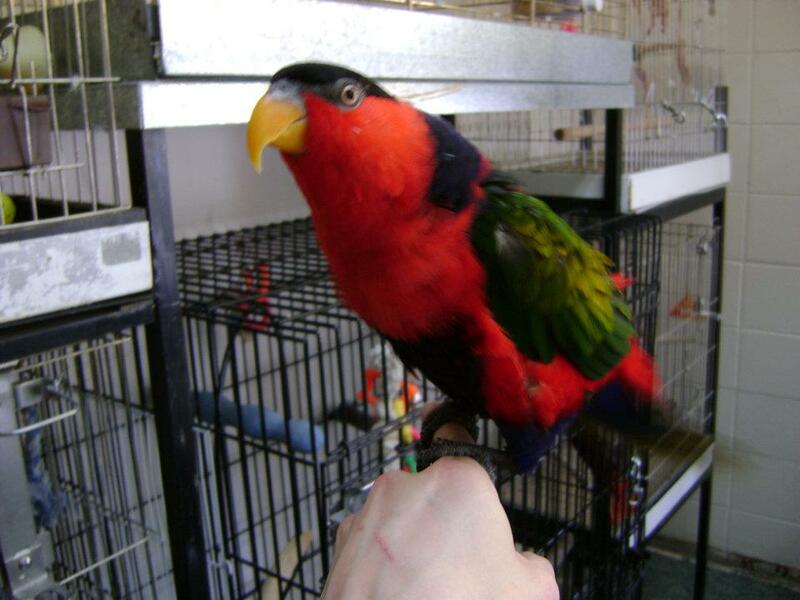 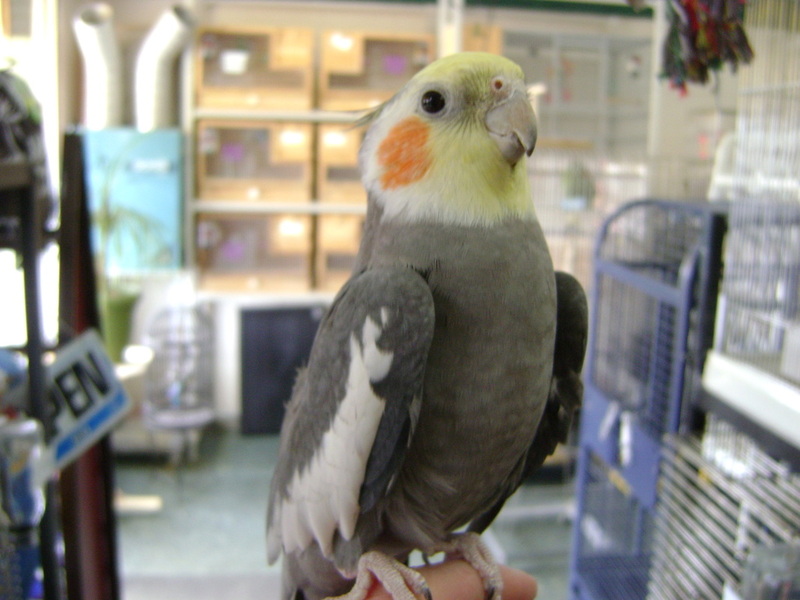 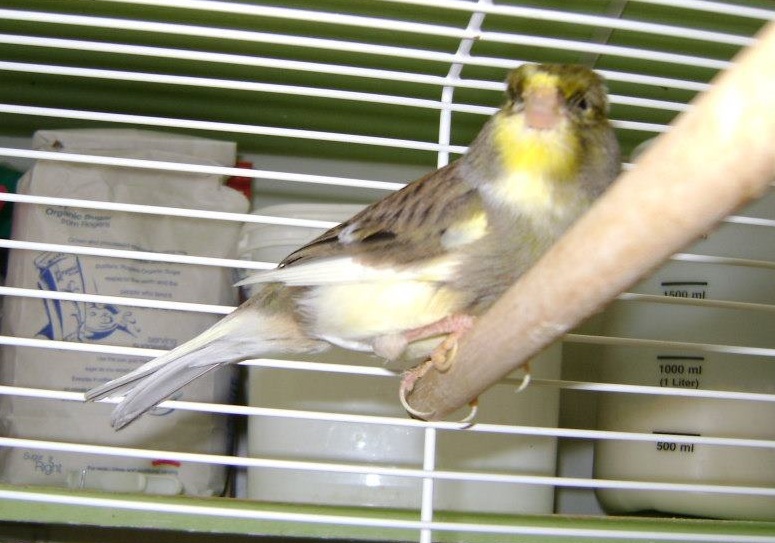 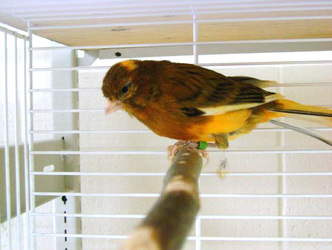 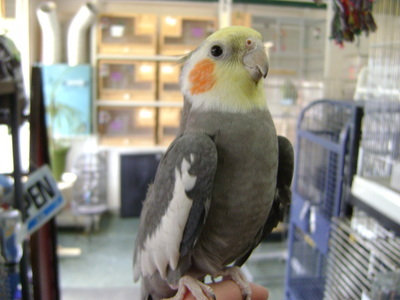 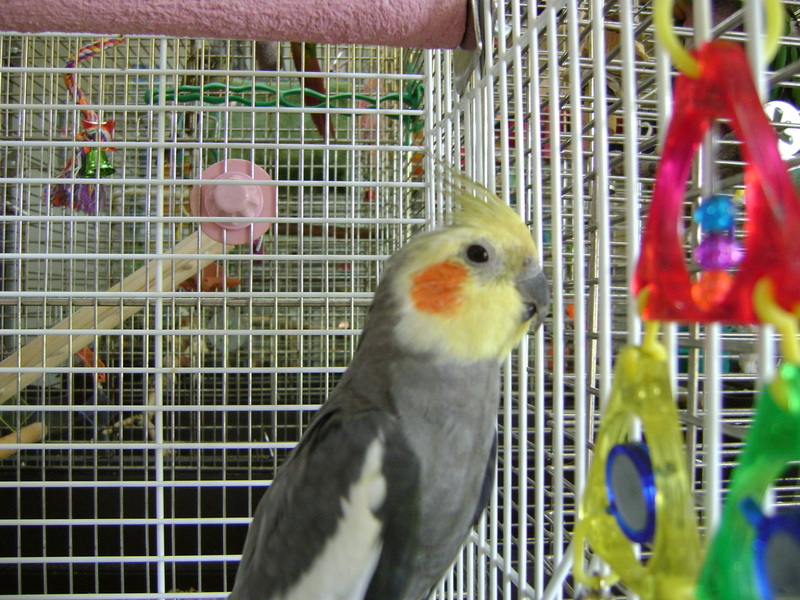 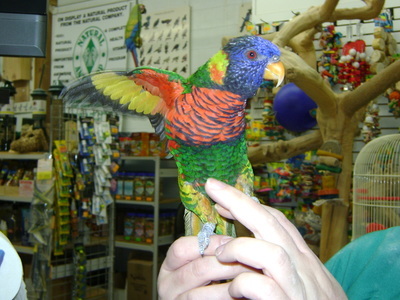 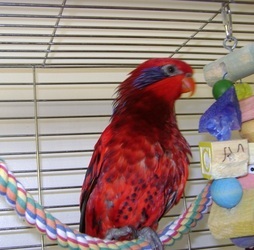 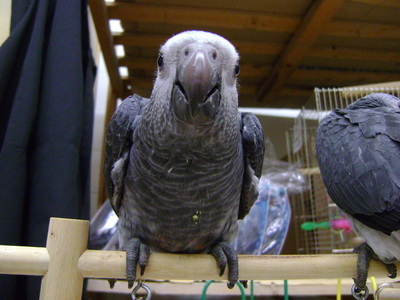 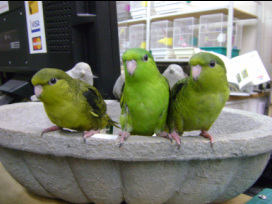 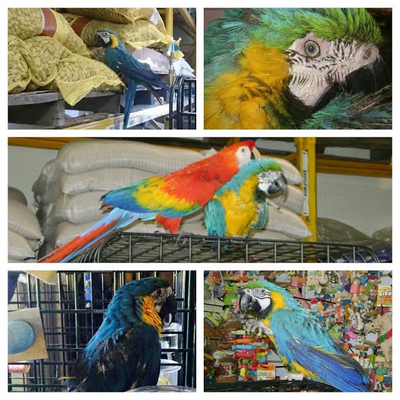 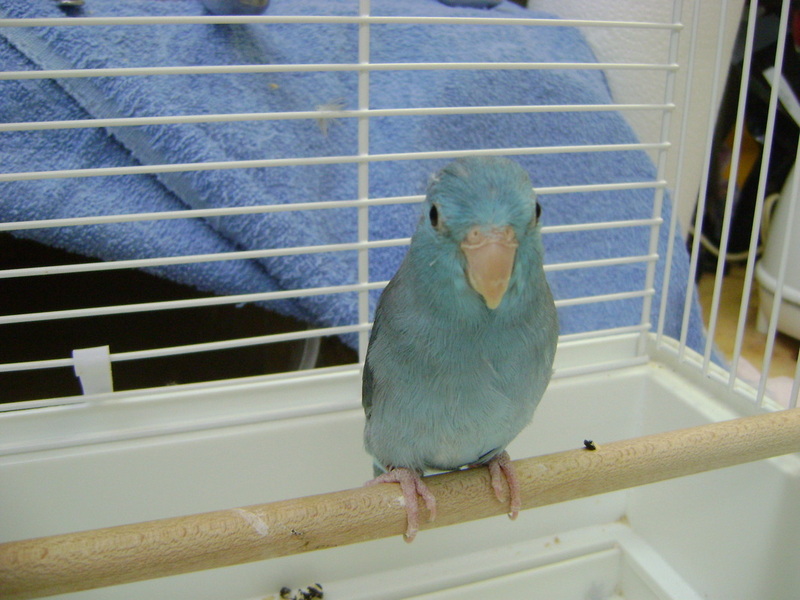 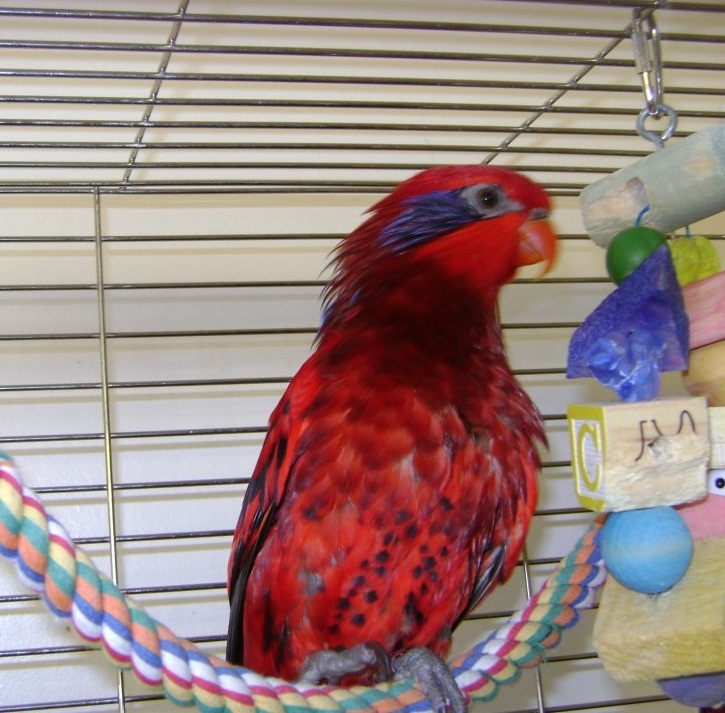 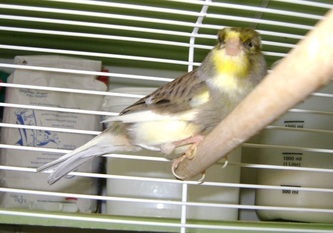 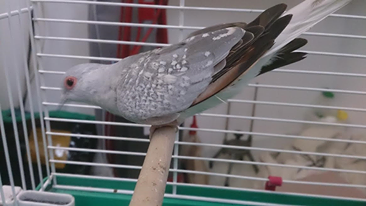 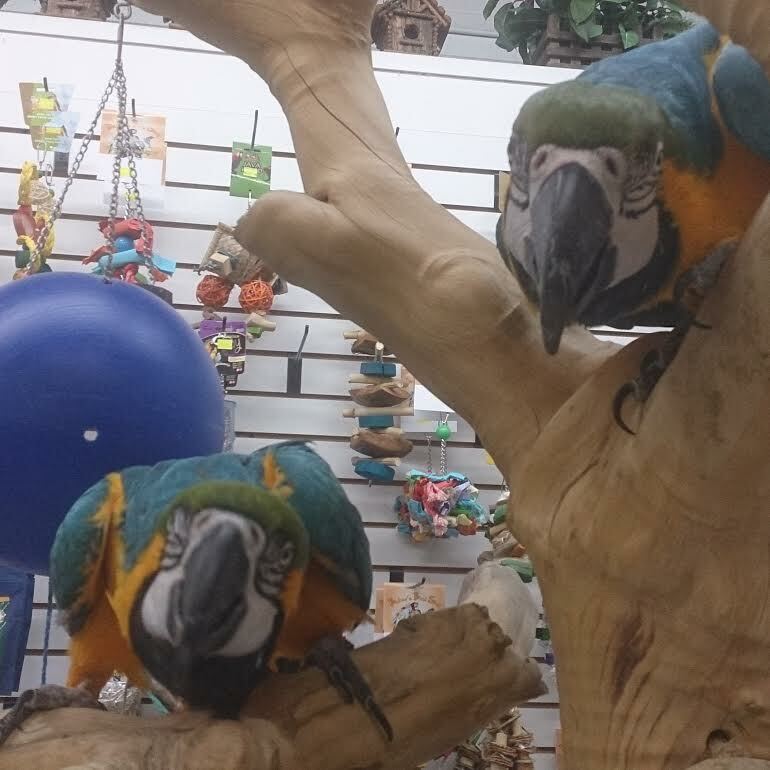 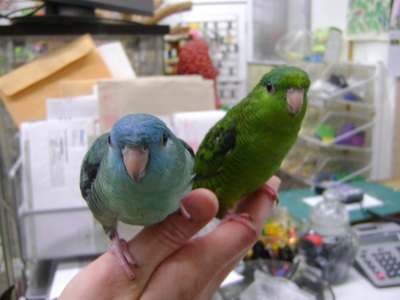 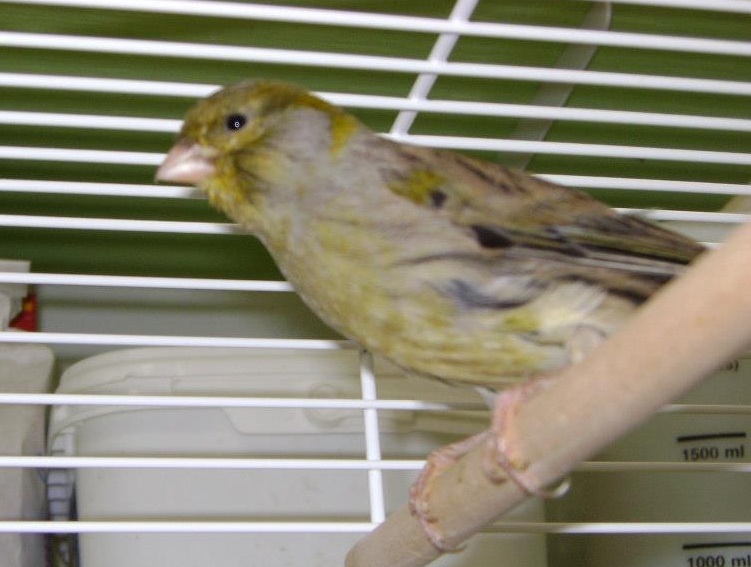 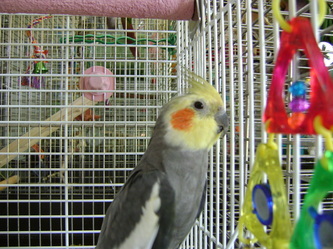 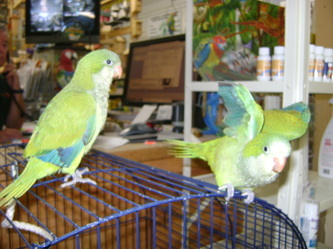 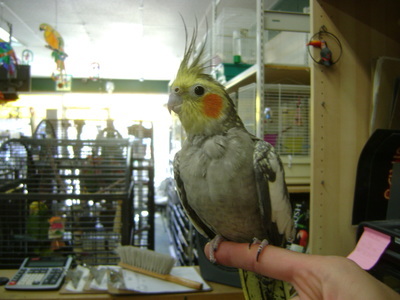 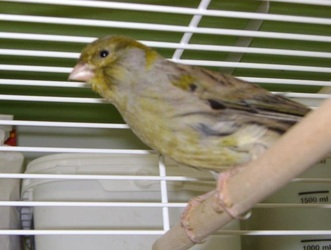 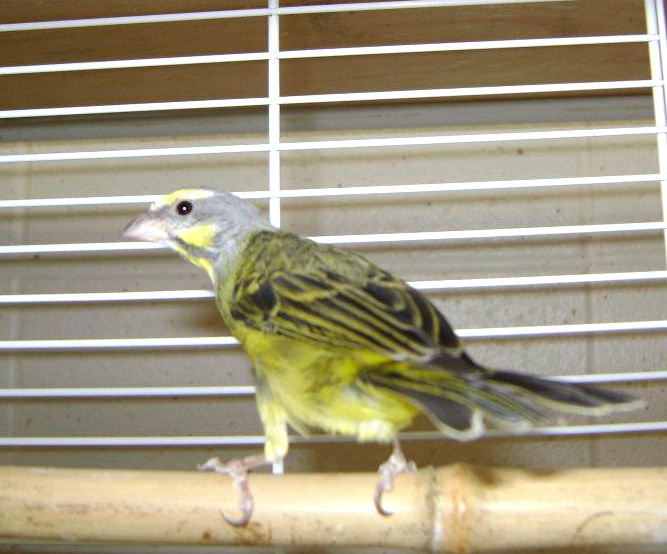 These birds make good pets with ongoing obedience training, handling, and socialization. 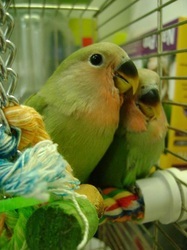 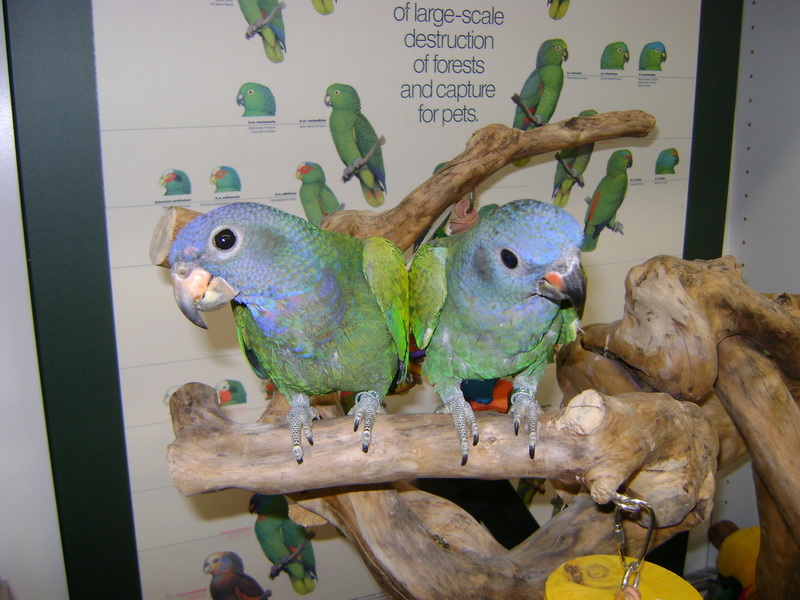 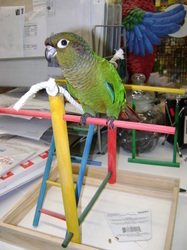 Ringnecks are HIGHLY intelligent and can learn concepts quickly. 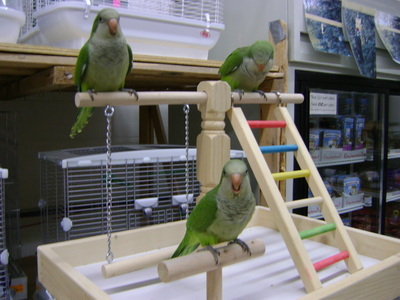 They like to do tricks, take things apart, playing with bells, and love their chew toys! 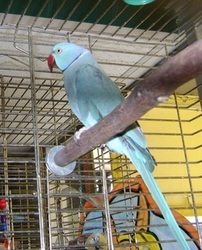 Indian Ringnecks are energetic, playful, and love to fly and explore. 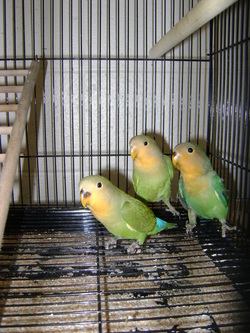 Mimicking speach isn’t their forte but they can be taught to speak, whistle, and mimic other household sounds. 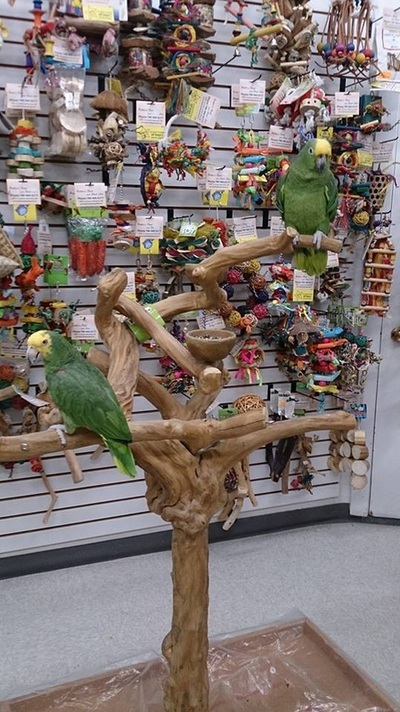 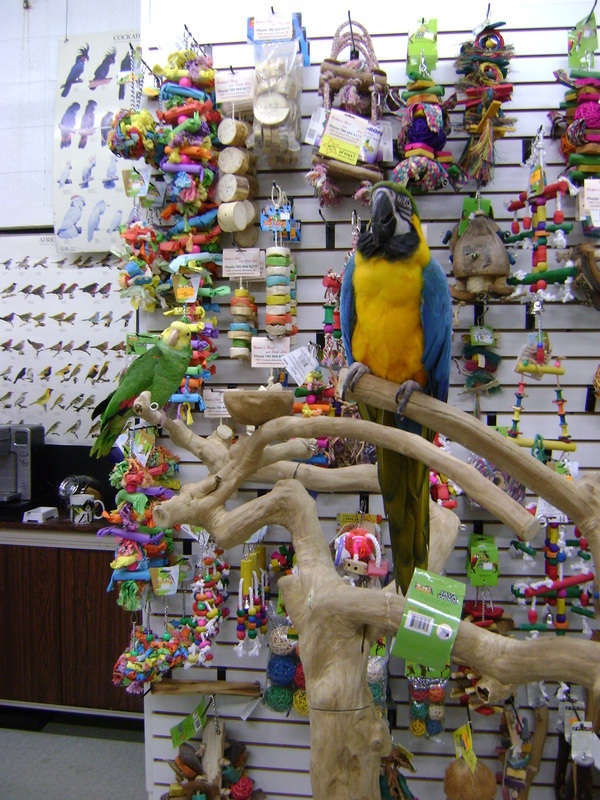 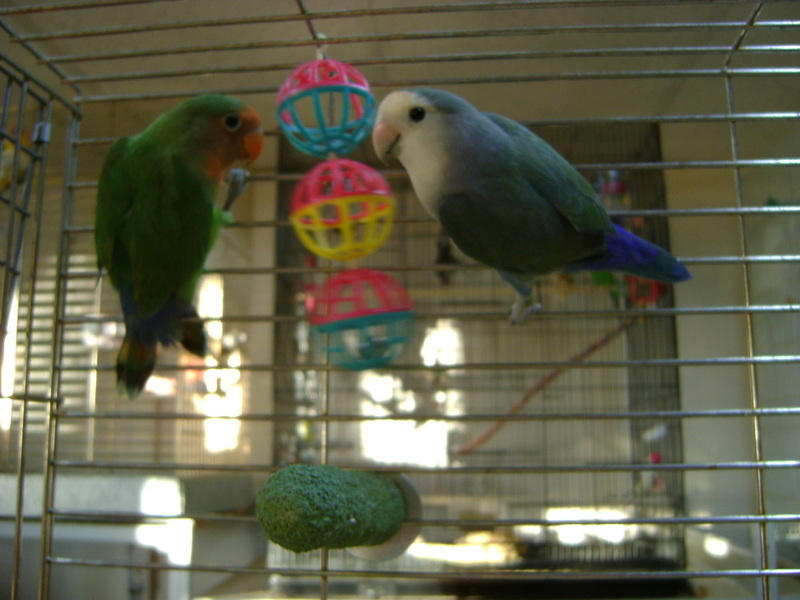 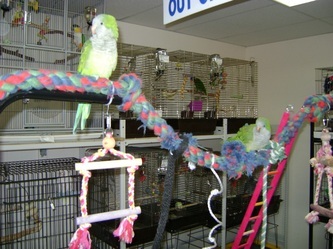 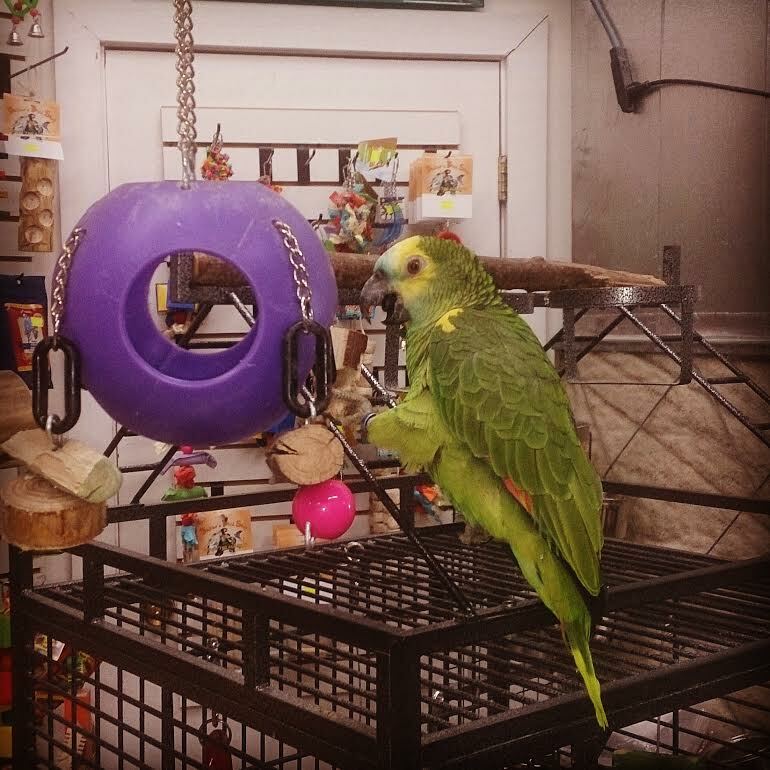 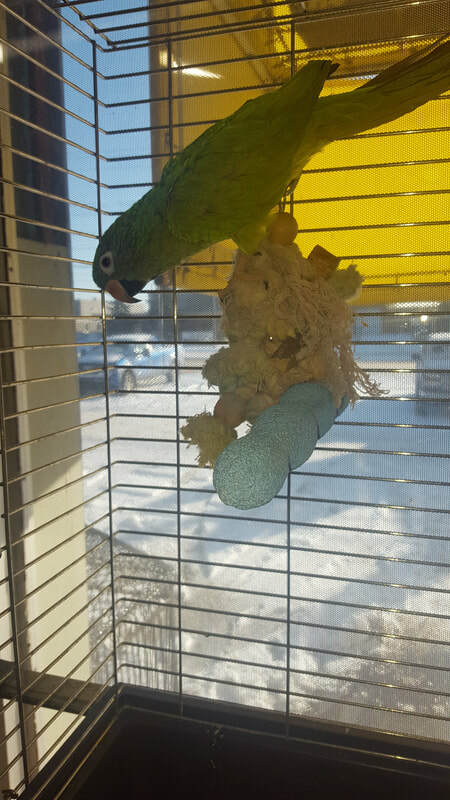 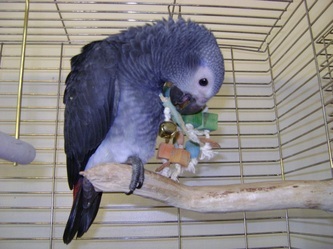 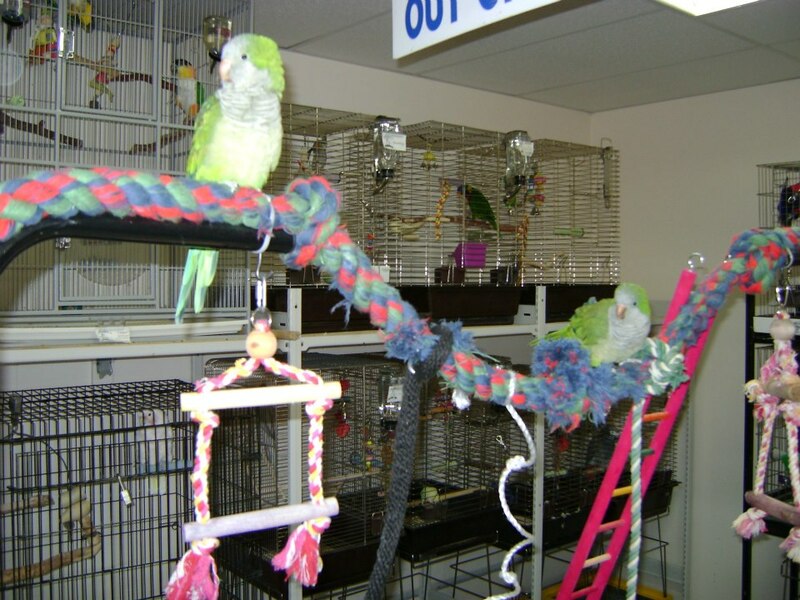 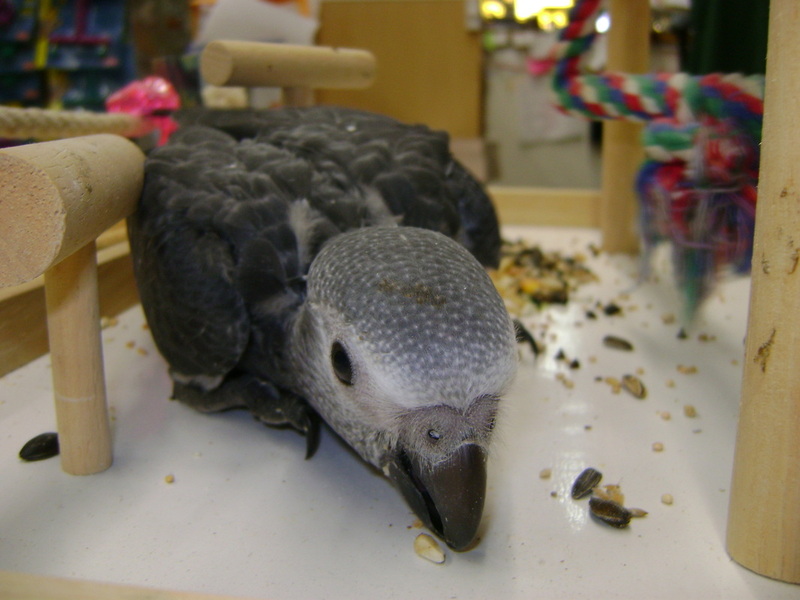 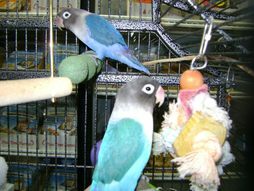 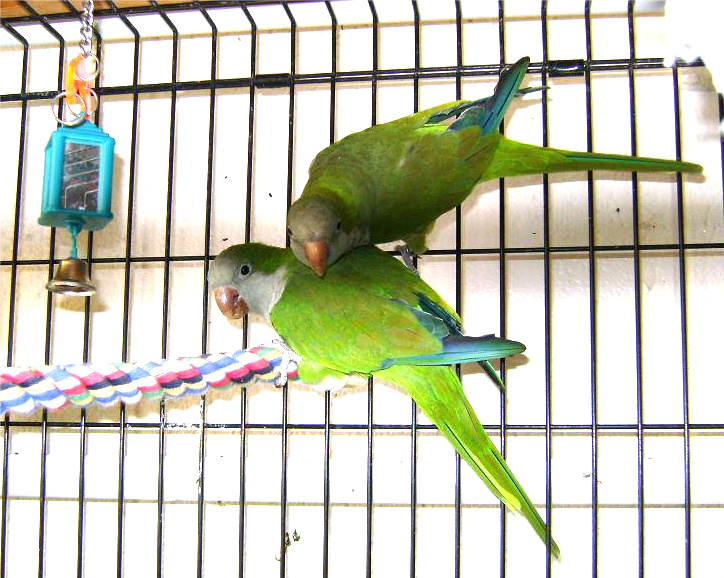 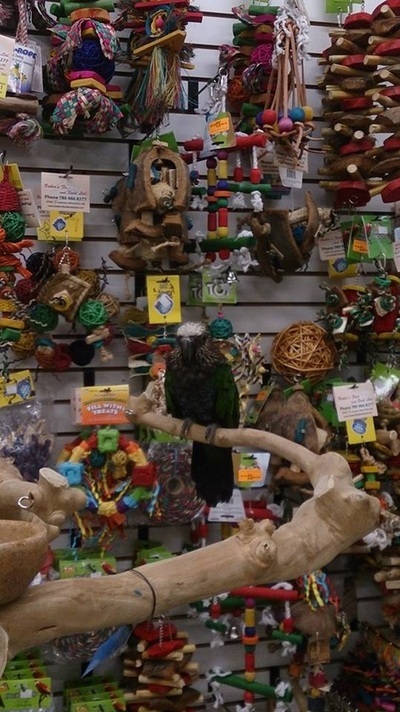 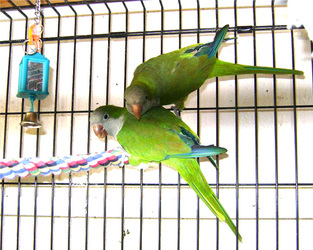 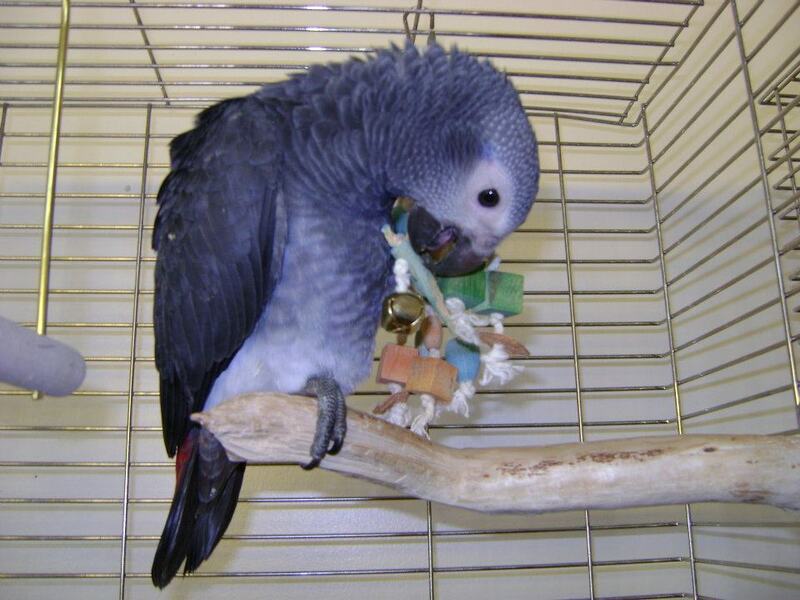 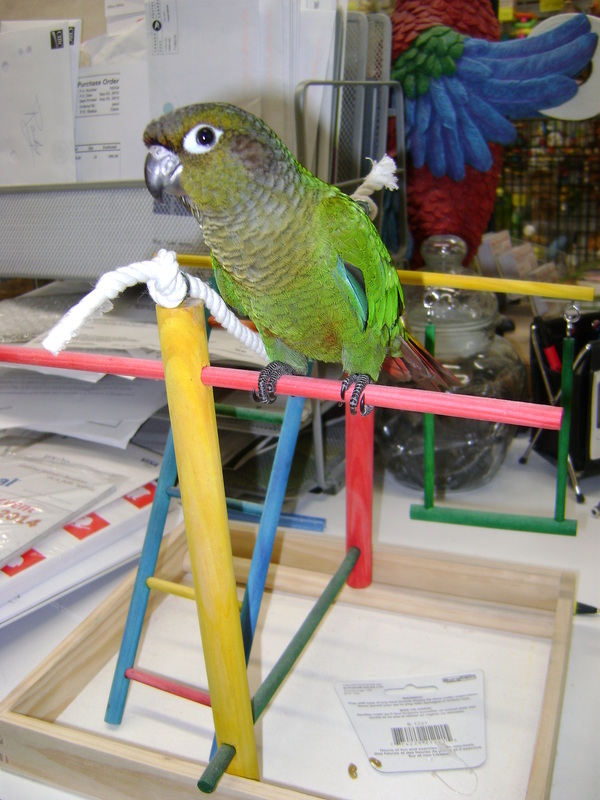 Items to get your RIngneck include: chew toys, perches, swings, foot toys and play stands. 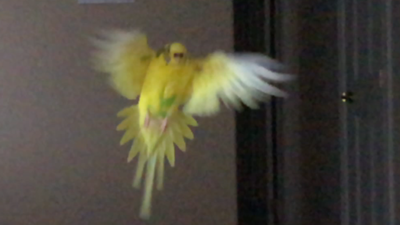 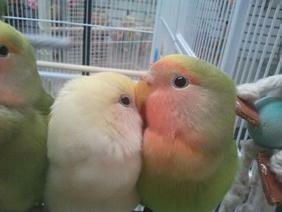 Budgies, your new pet. 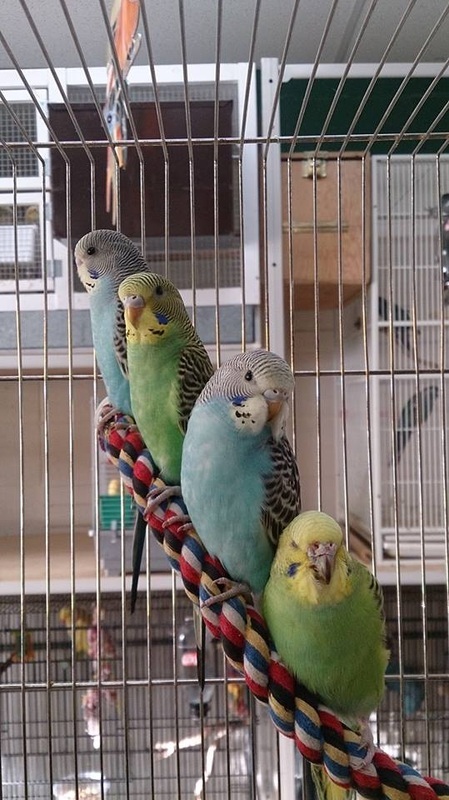 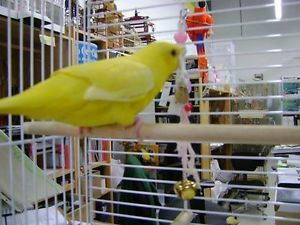 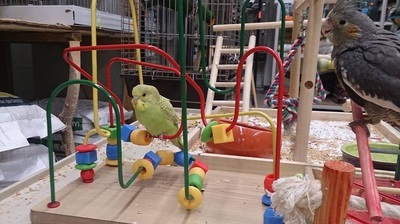 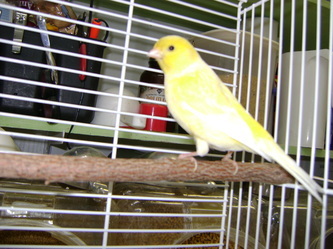 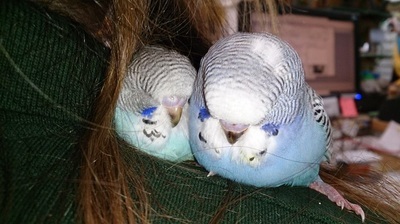 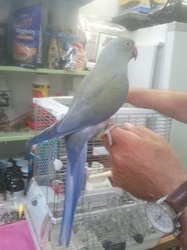 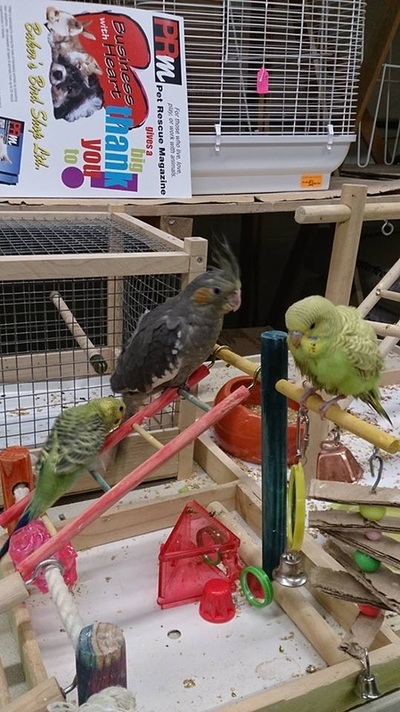 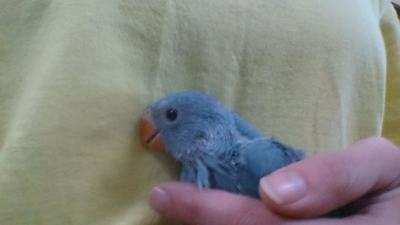 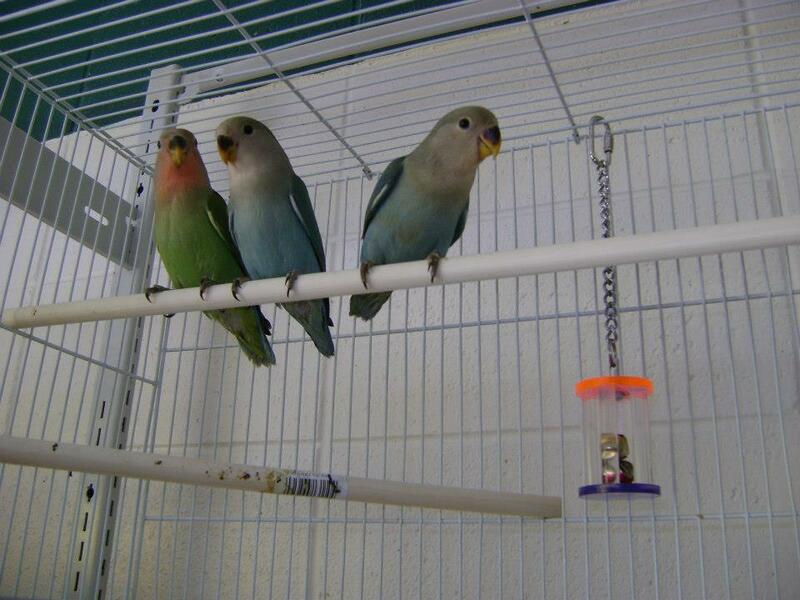 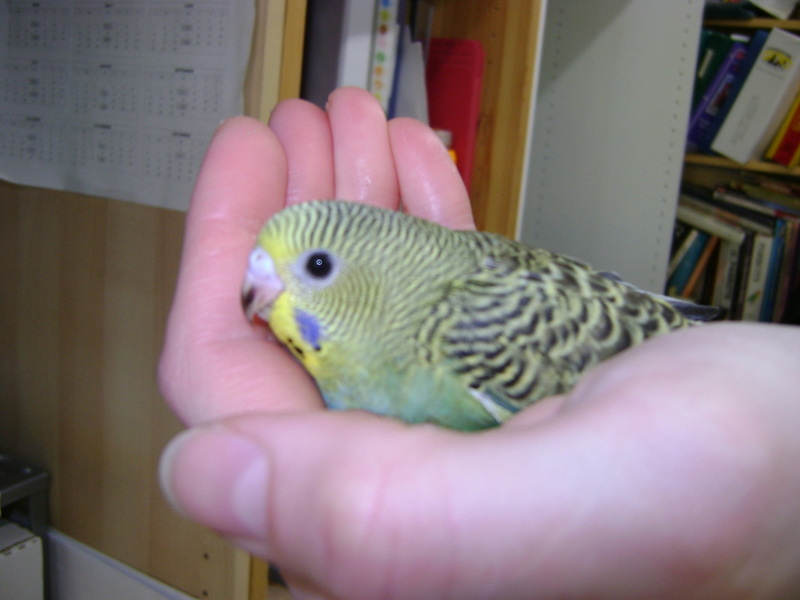 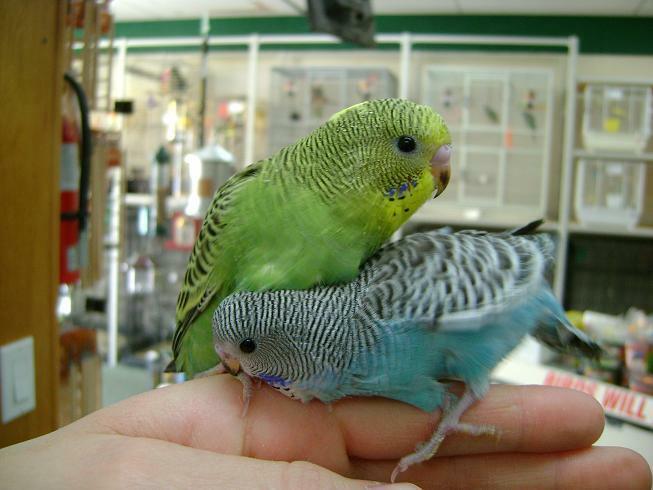 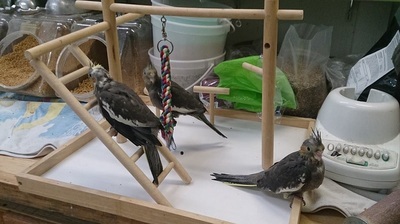 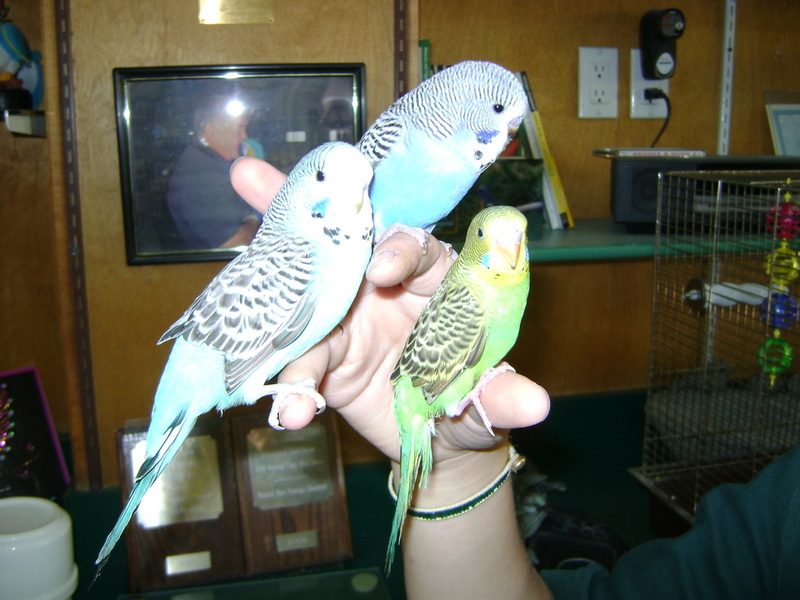 Budgies are a great starter bird for anybody including children. 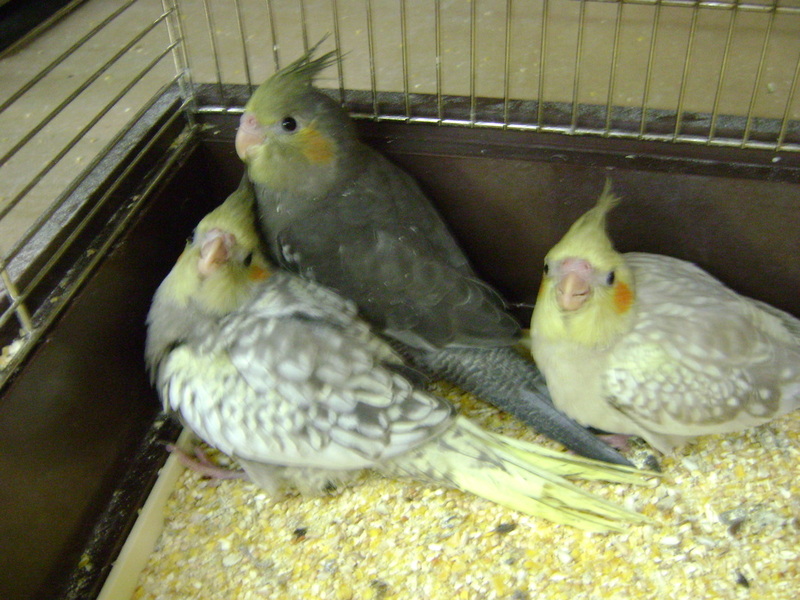 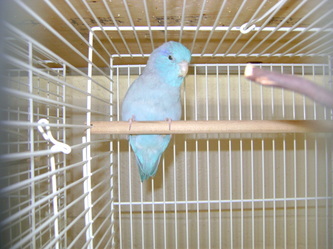 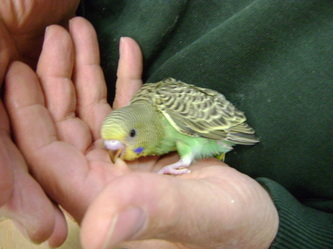 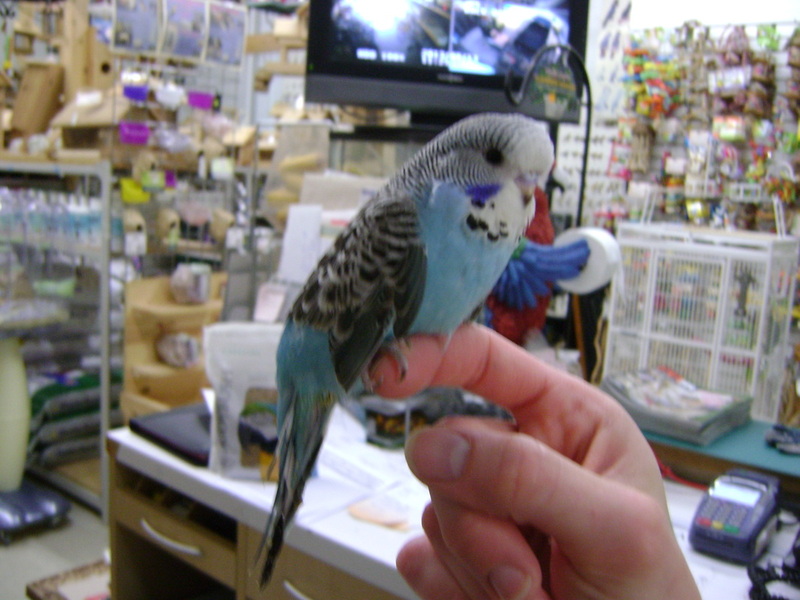 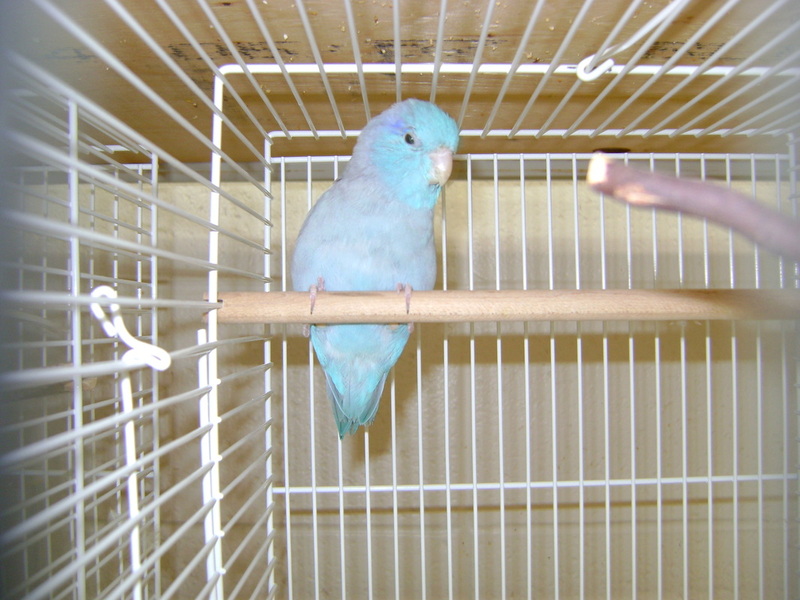 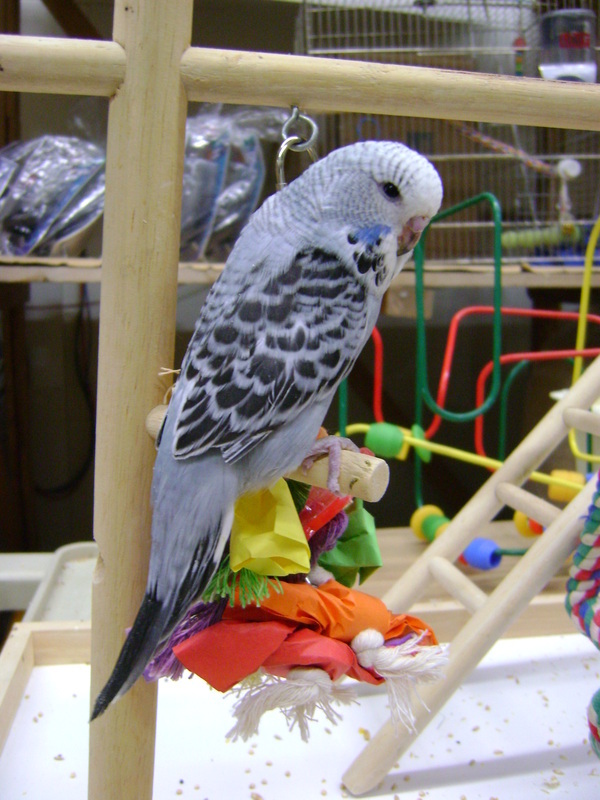 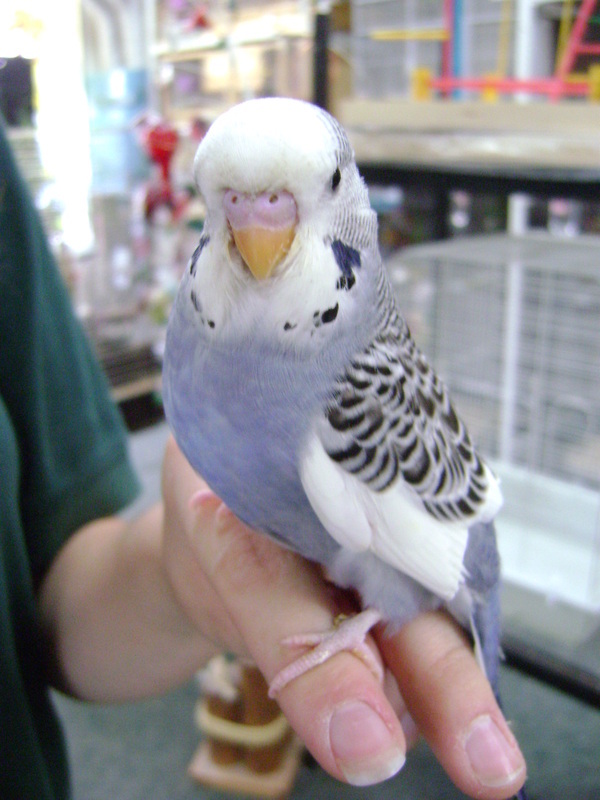 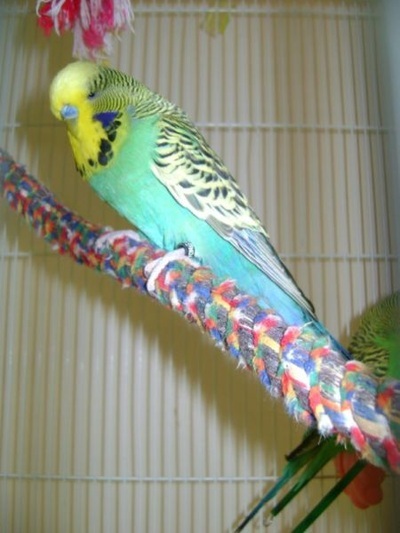 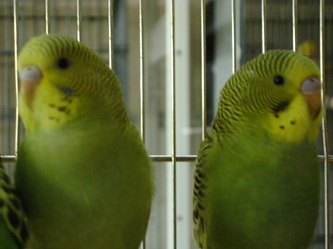 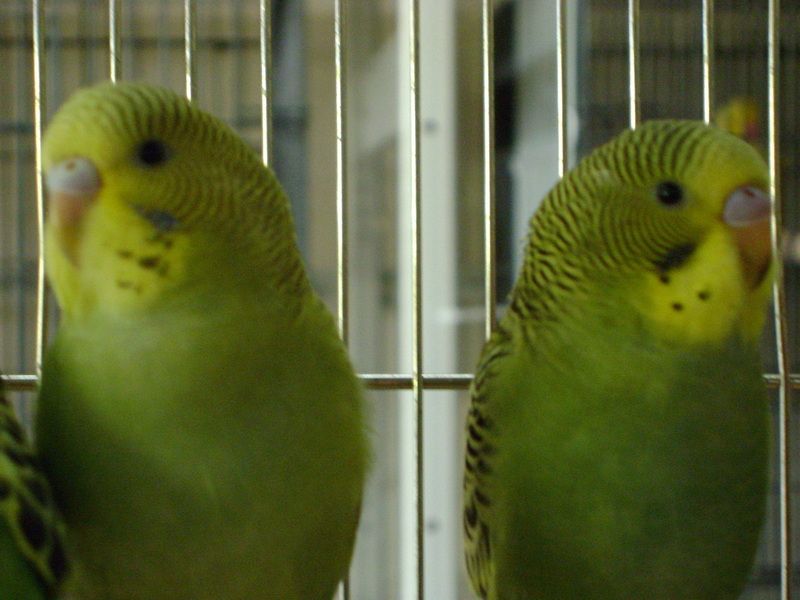 Budgies are relatively quiet and easy to train, and have been known to talk in a solo setting. 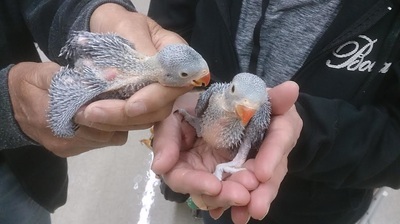 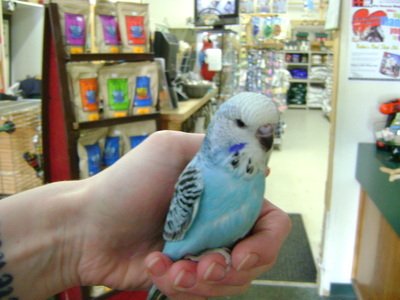 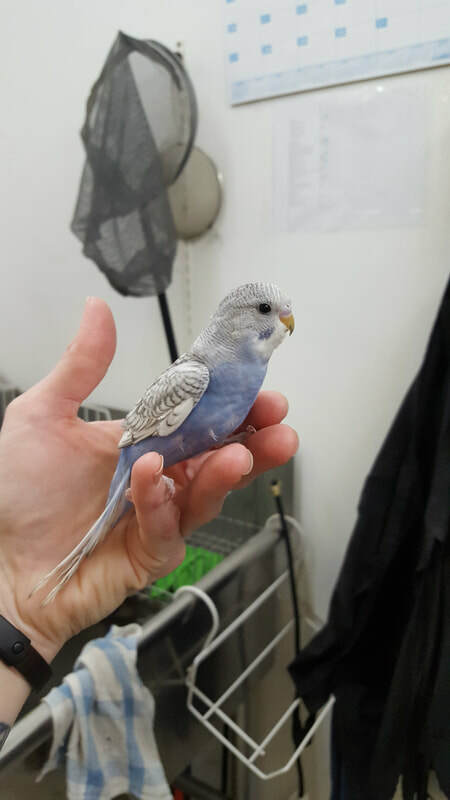 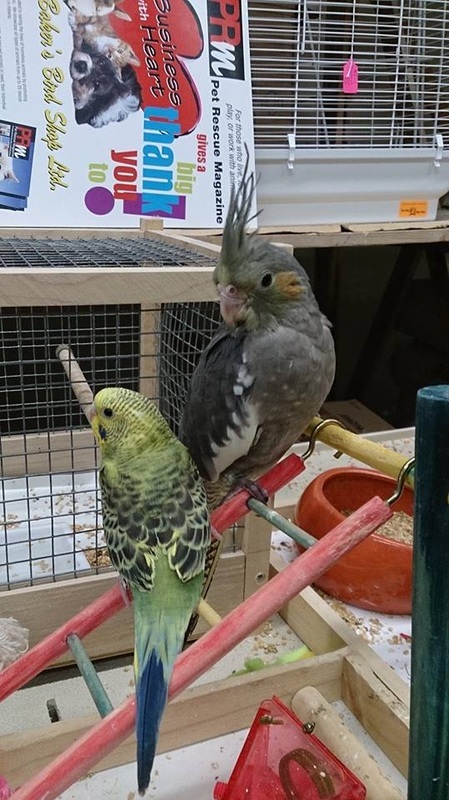 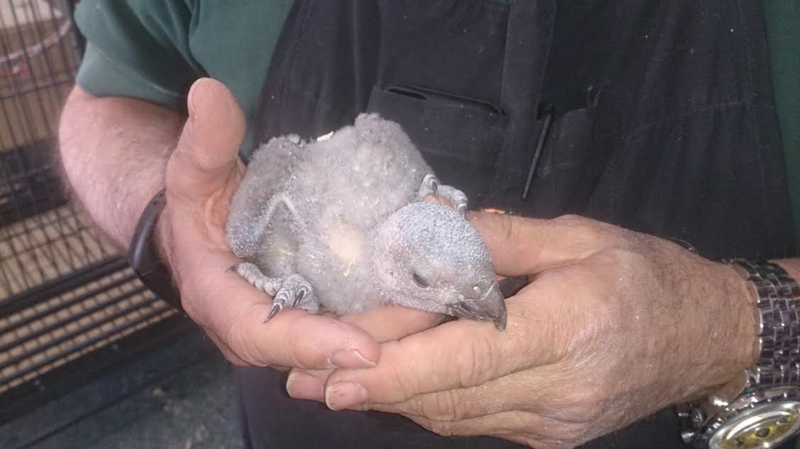 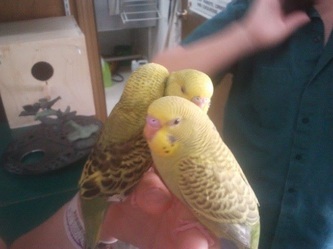 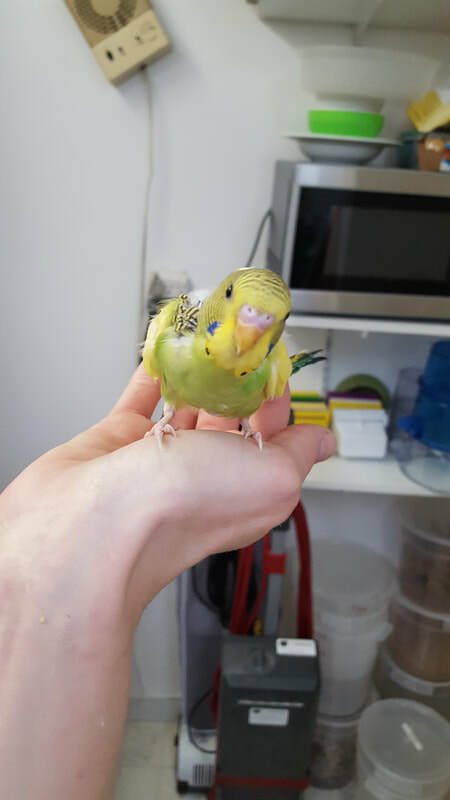 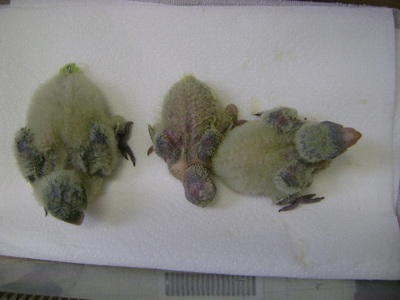 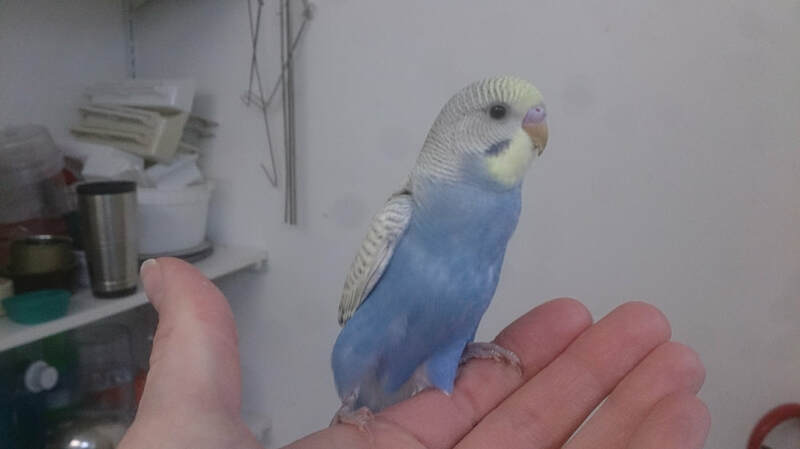 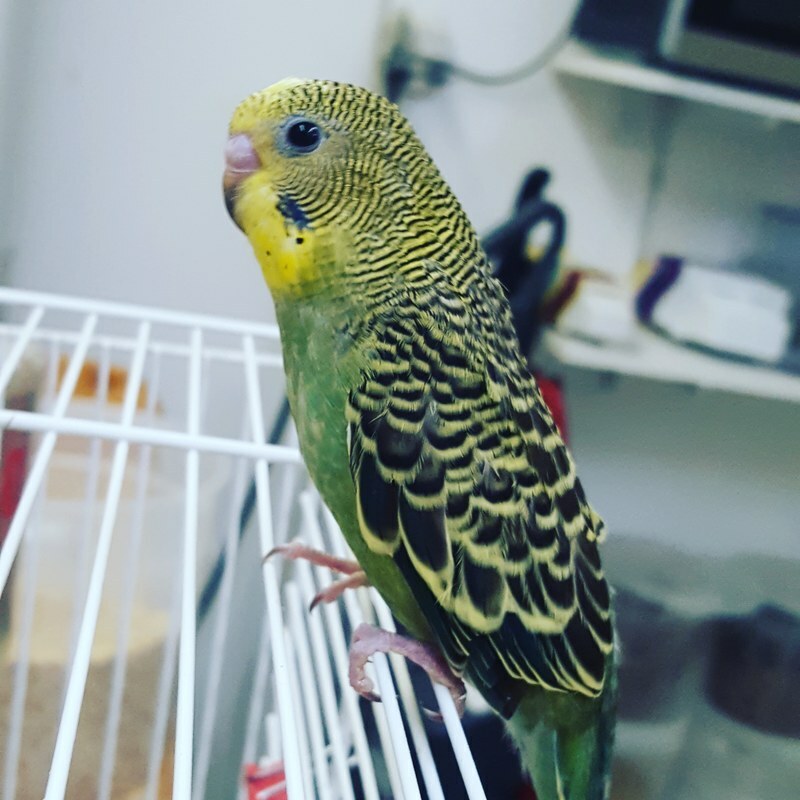 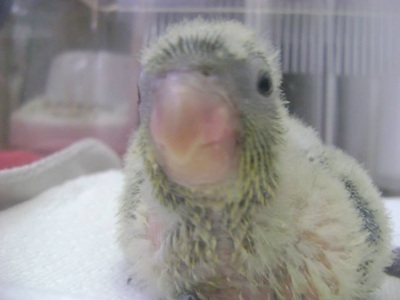 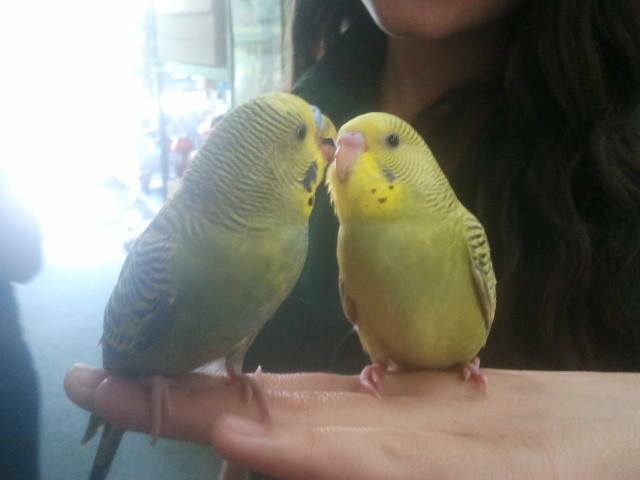 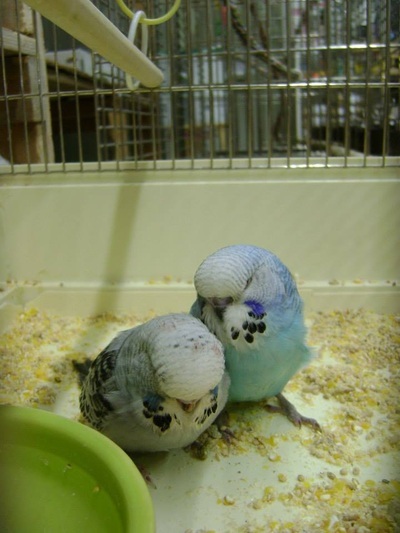 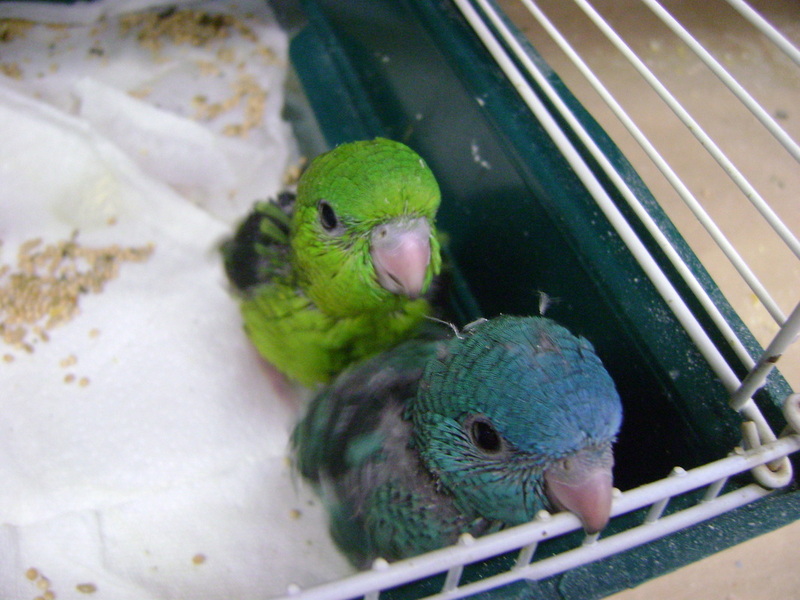 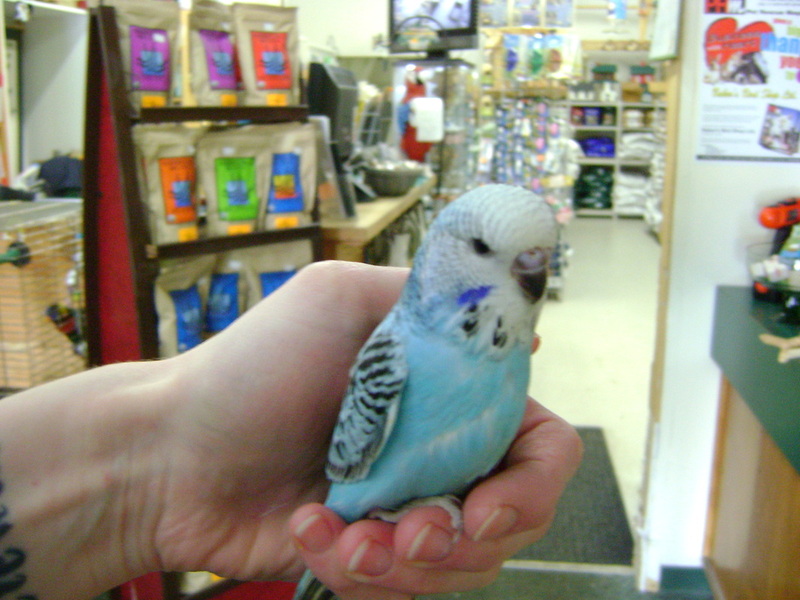 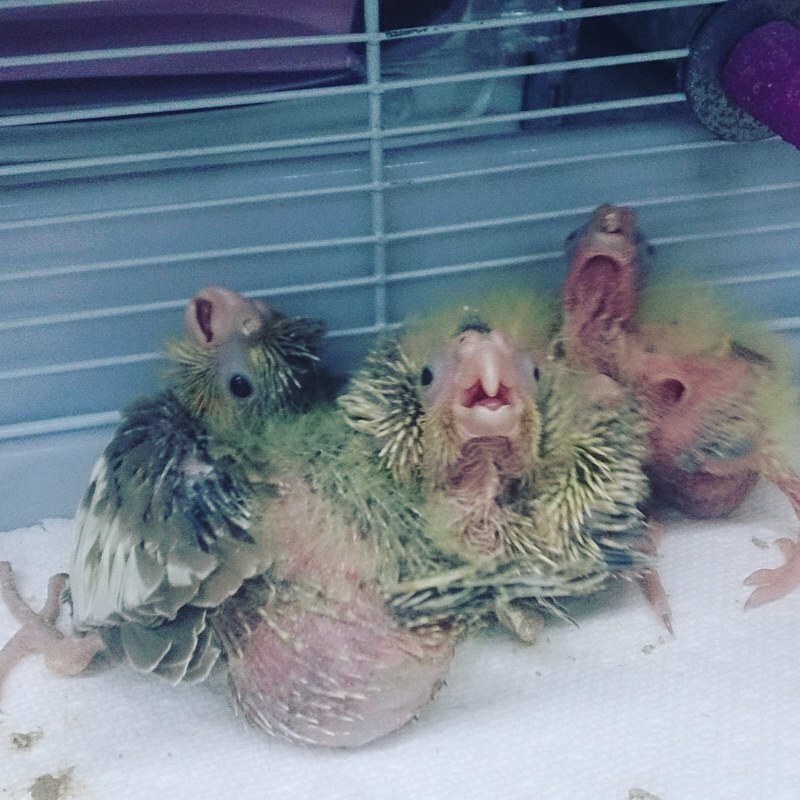 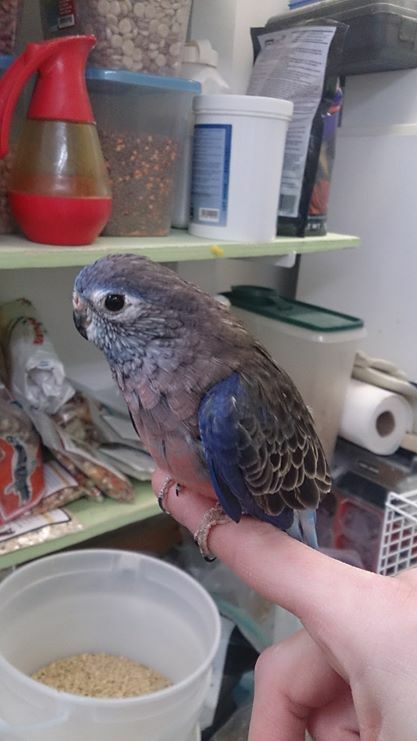 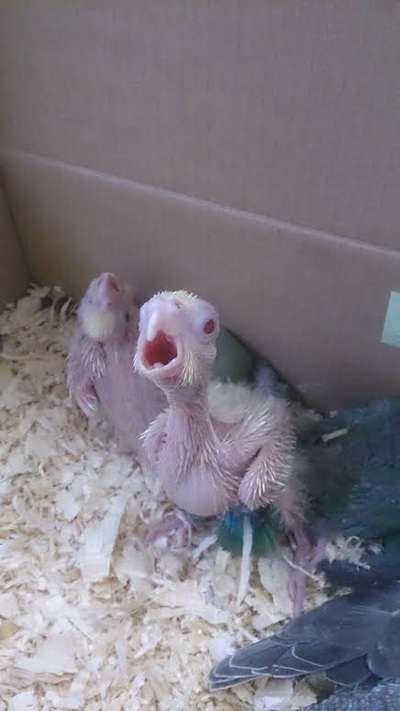 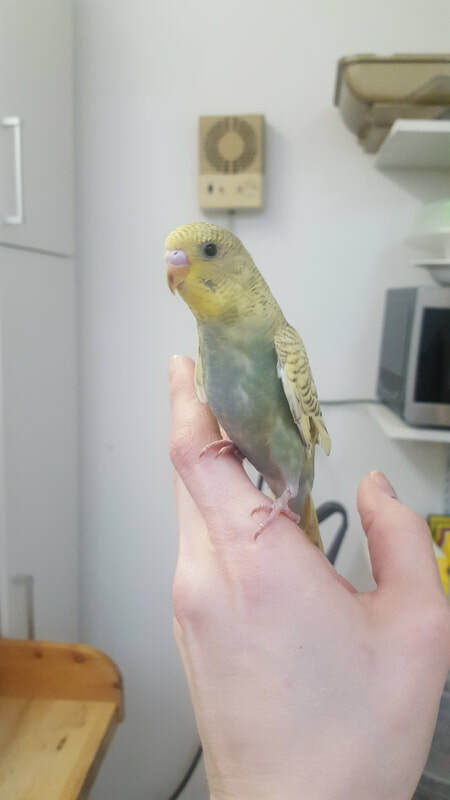 We are now breeding most of our Budgies on-site! 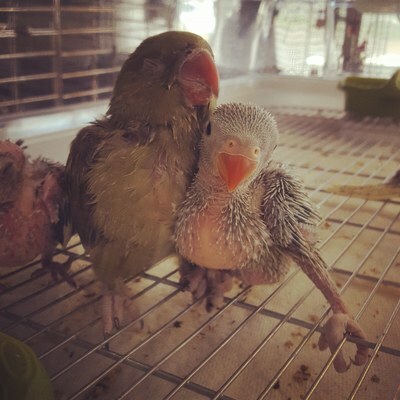 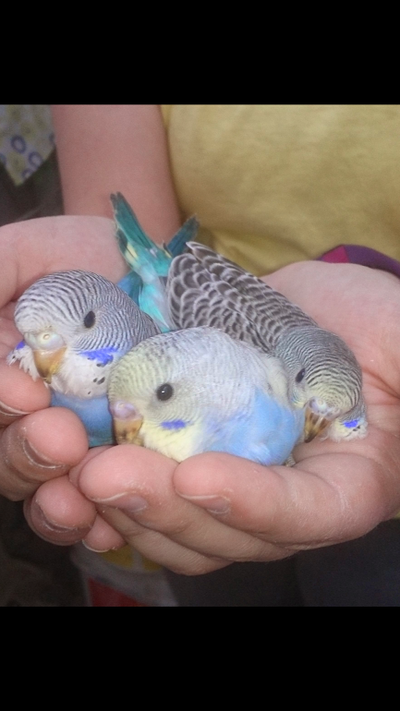 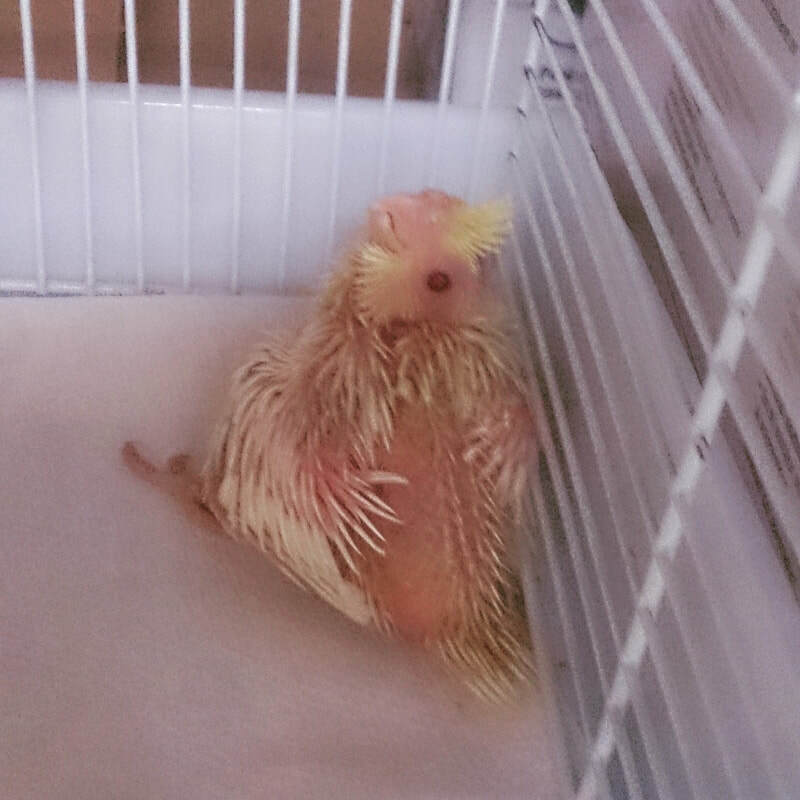 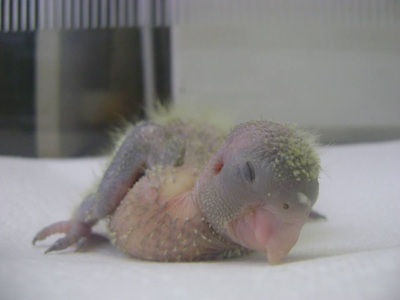 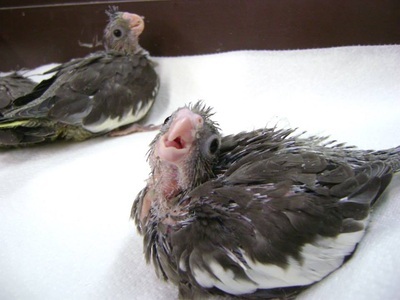 PUT YOUR NAME ON THE HAND-RAISED BABY BUDGIE LIST TO GUARANTEE A BABY. Come into the store today to see all the various colours!